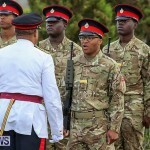 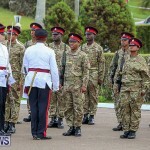 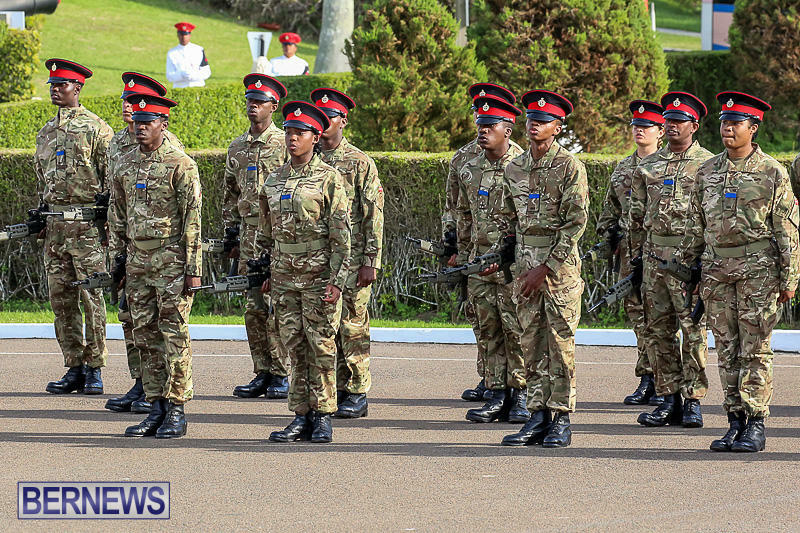 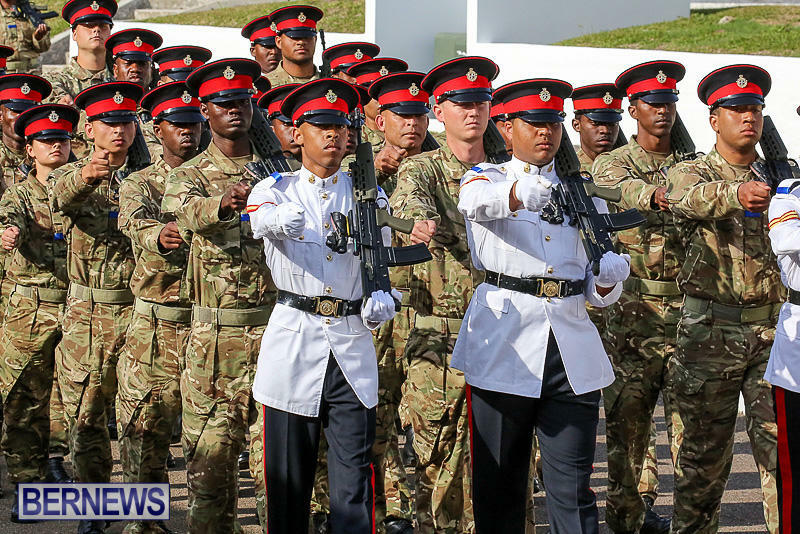 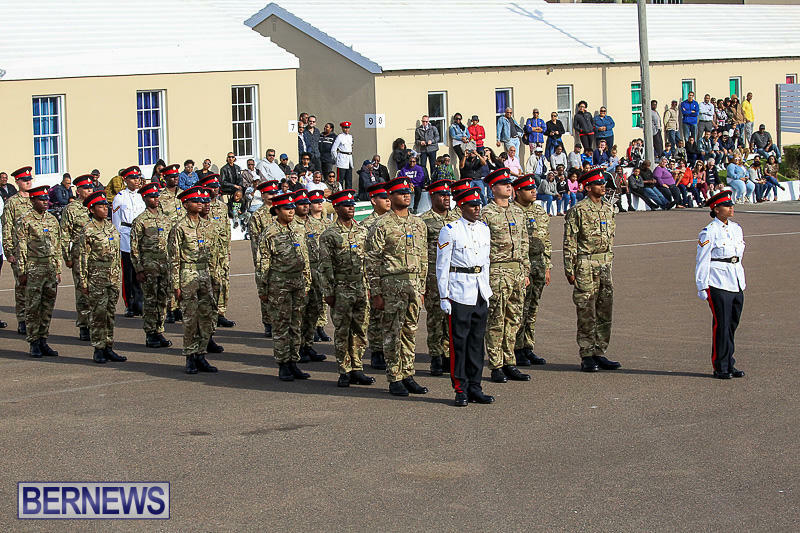 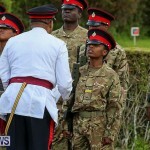 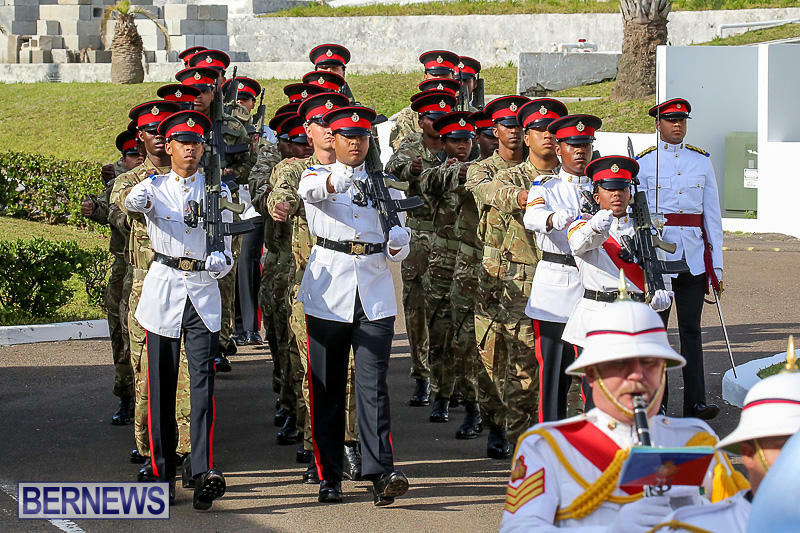 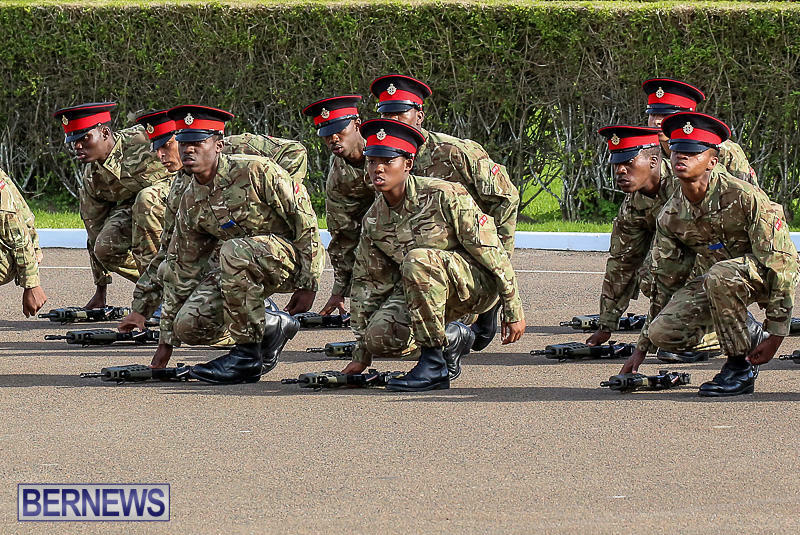 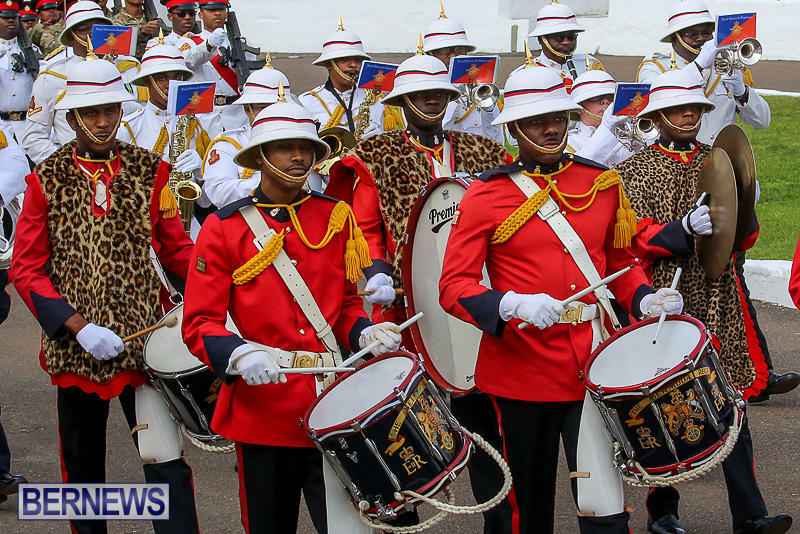 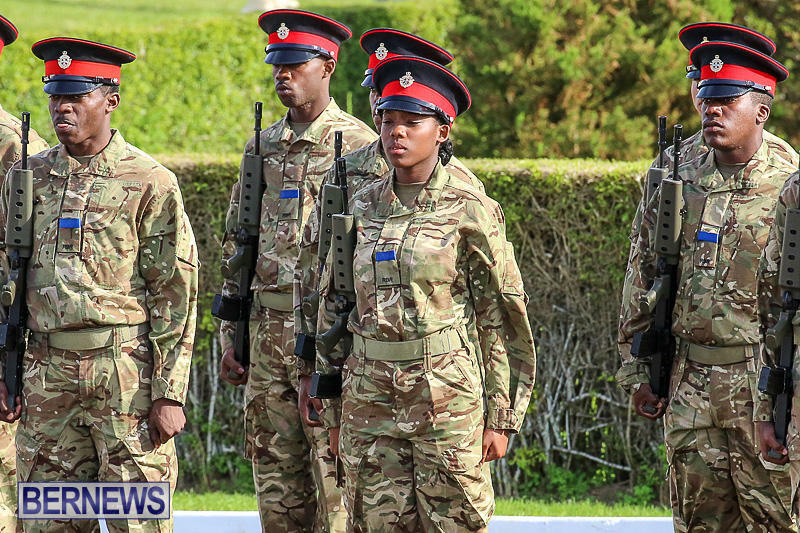 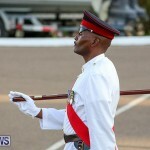 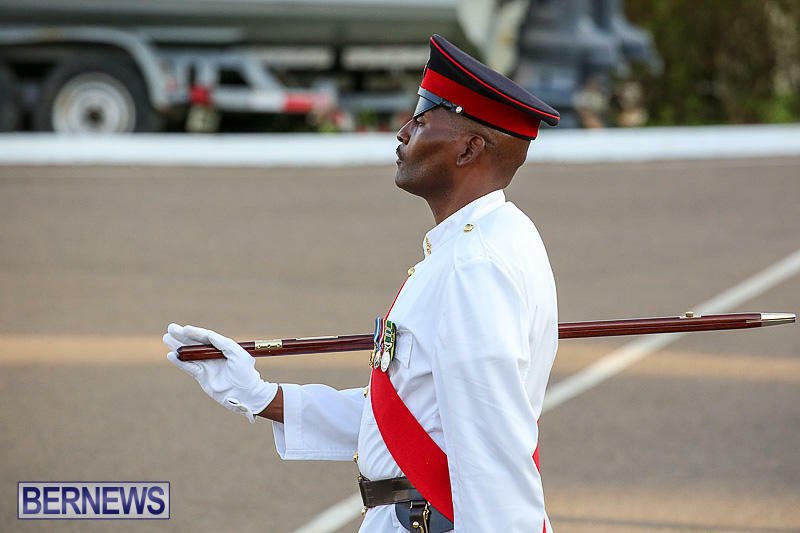 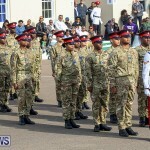 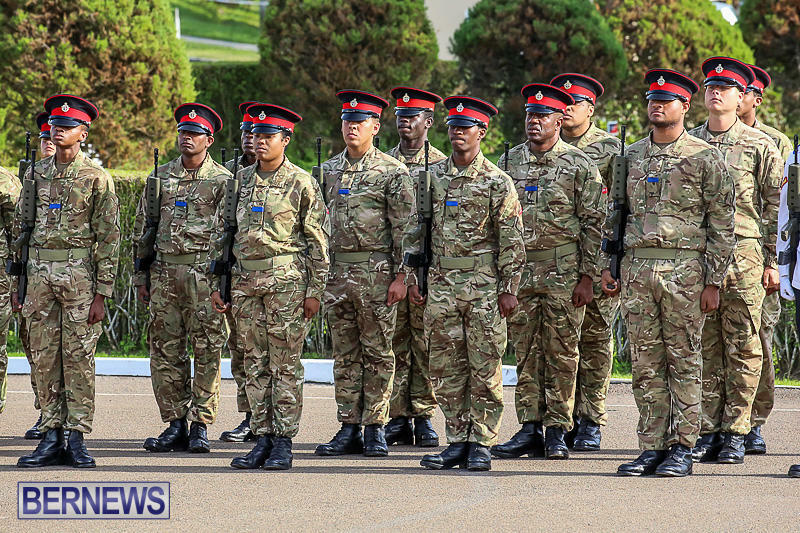 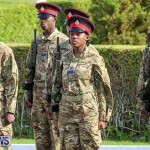 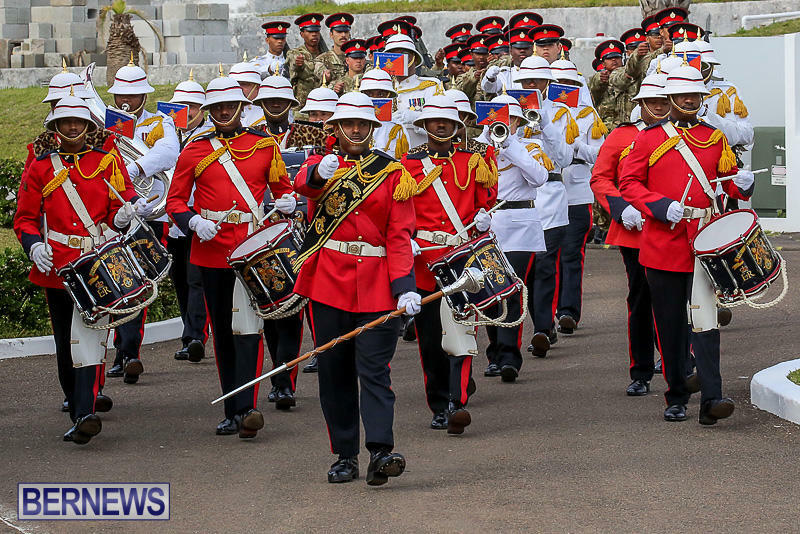 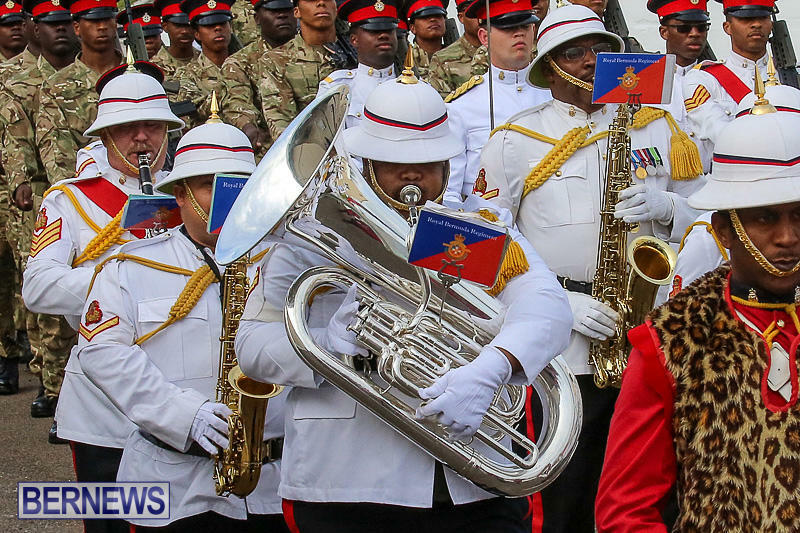 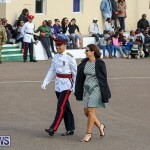 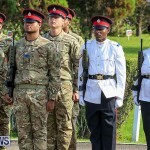 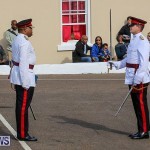 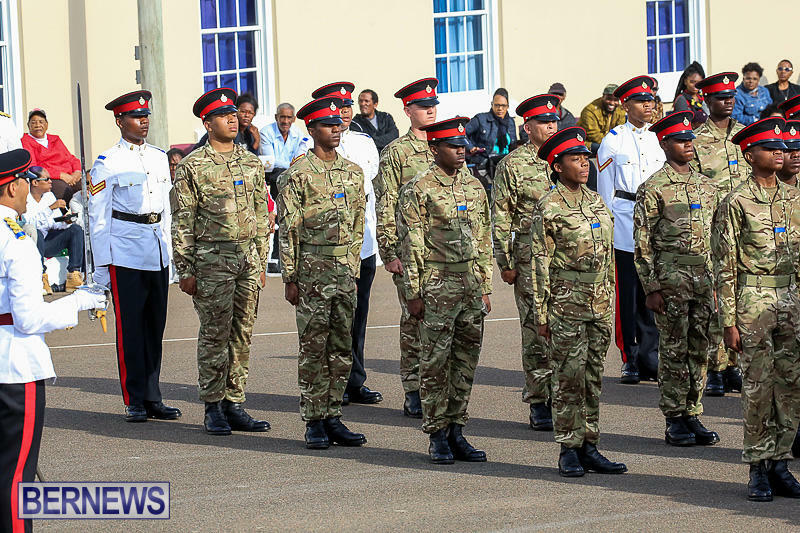 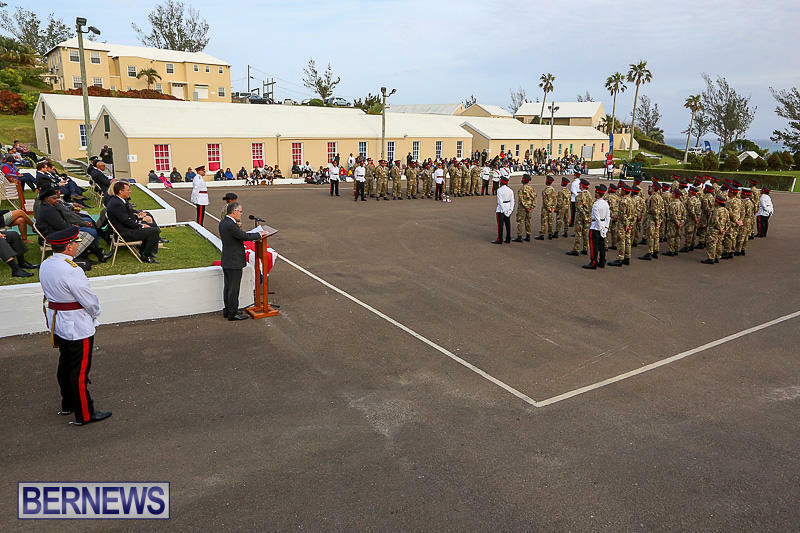 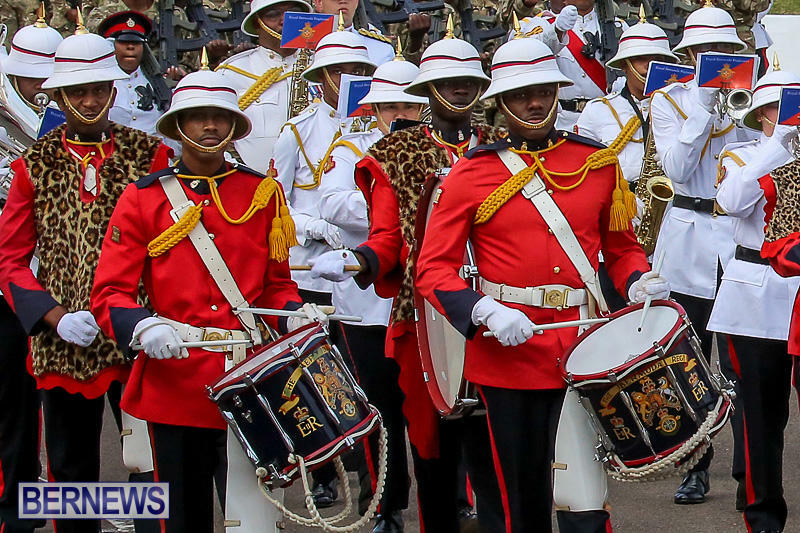 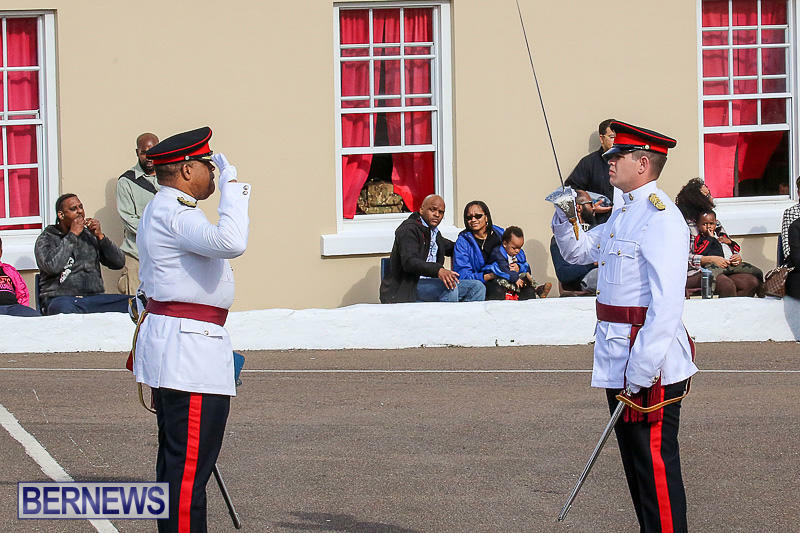 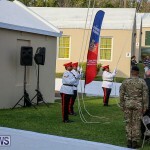 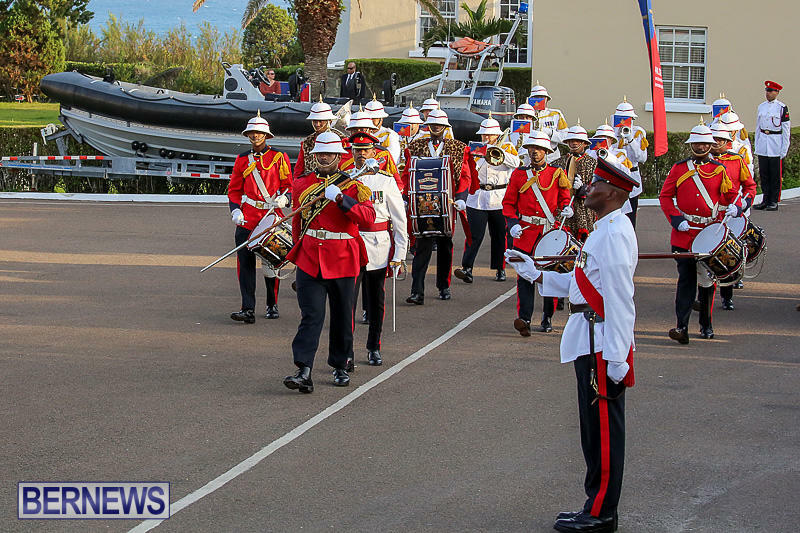 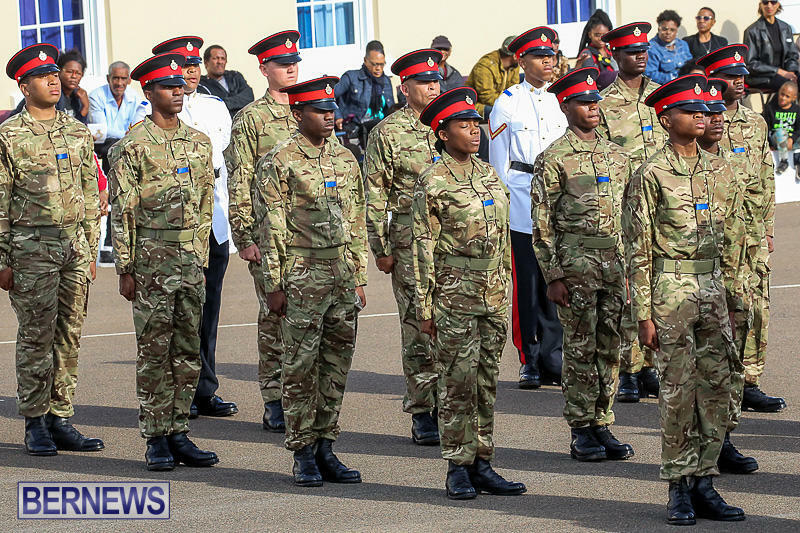 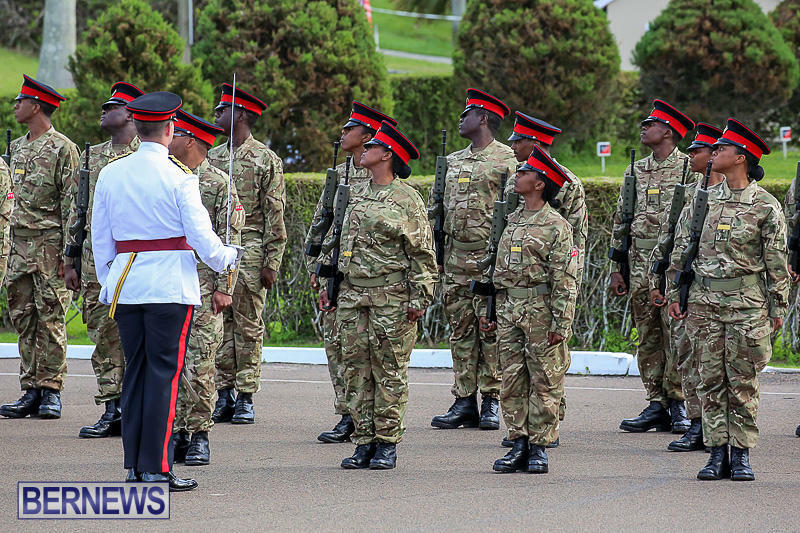 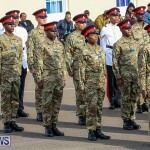 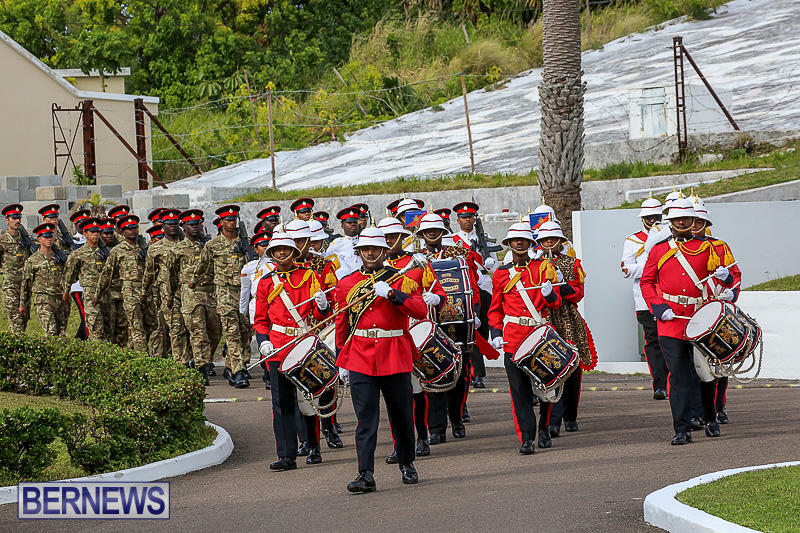 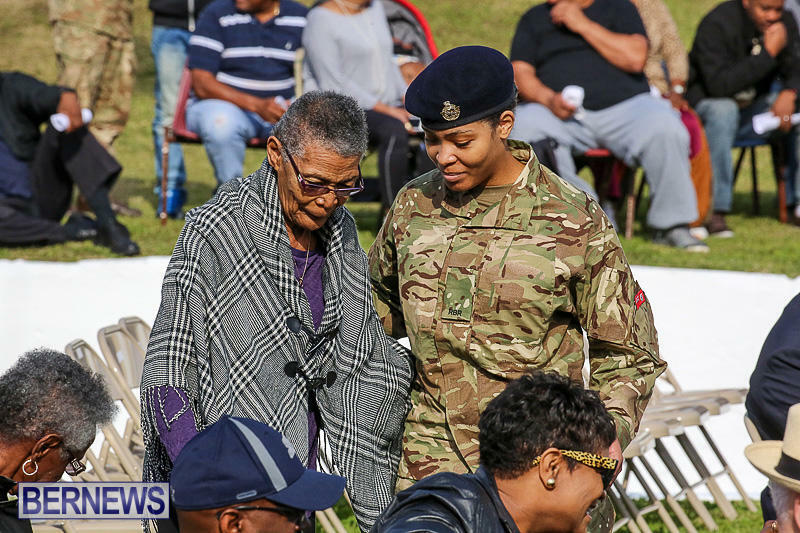 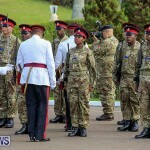 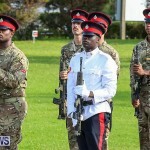 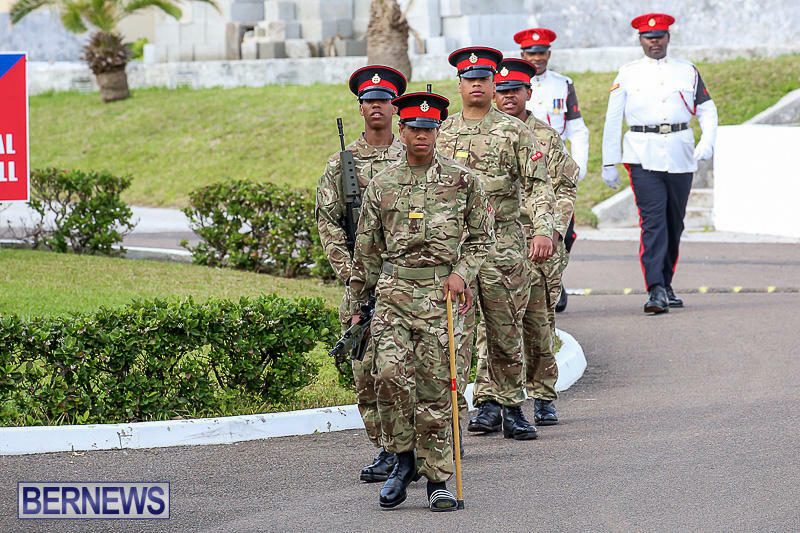 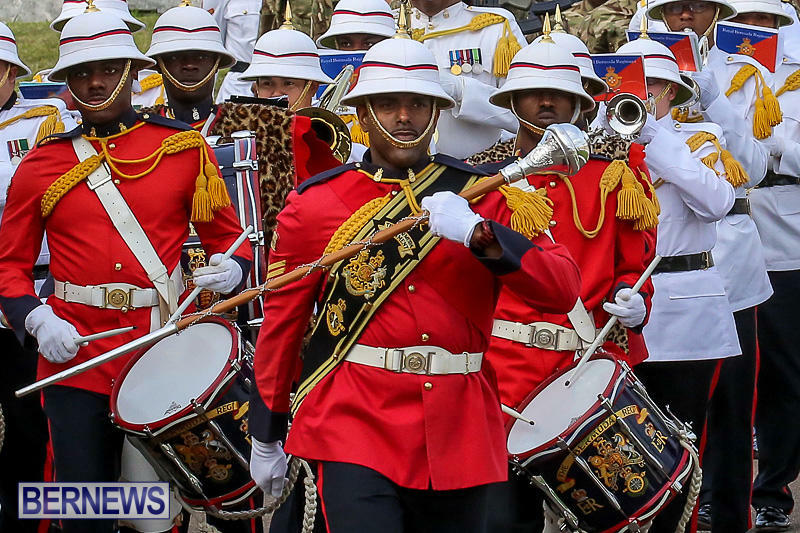 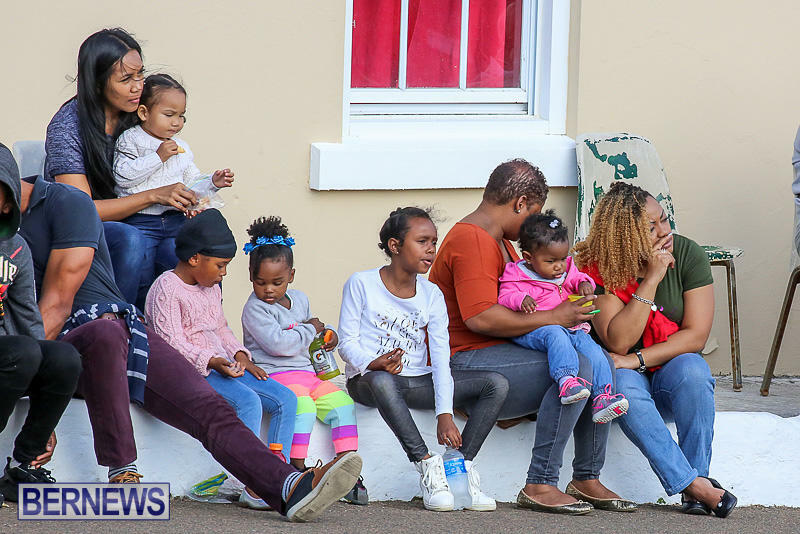 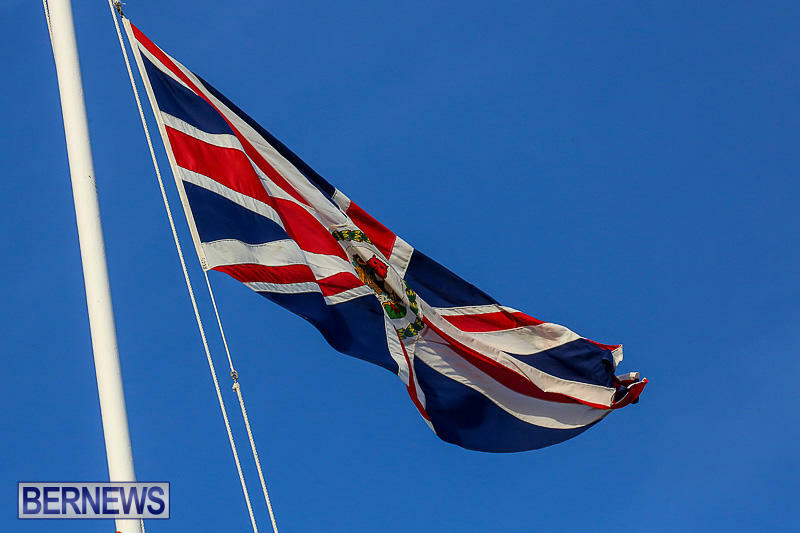 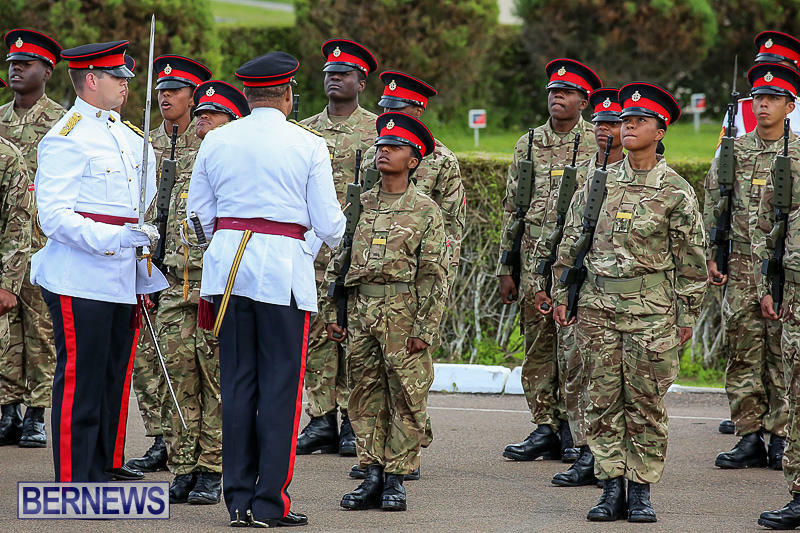 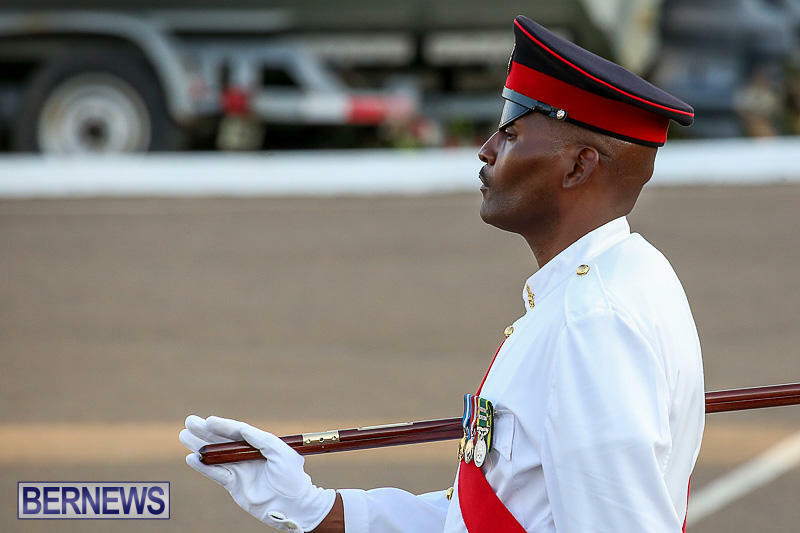 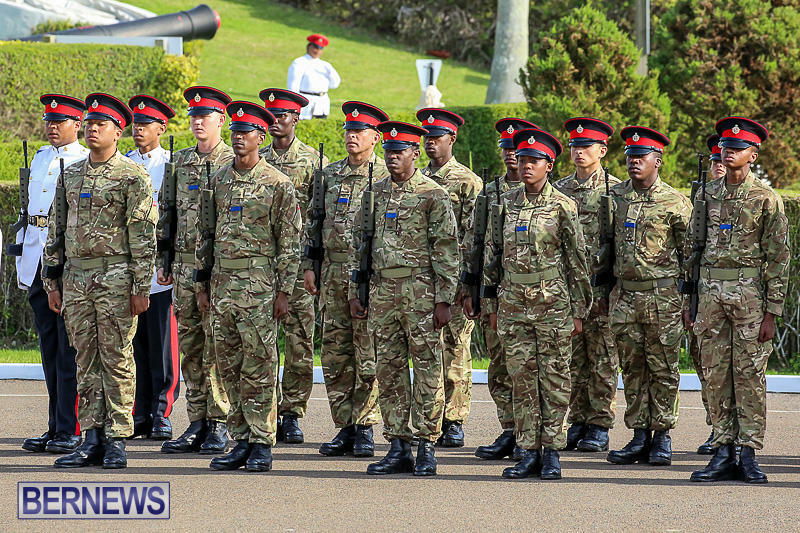 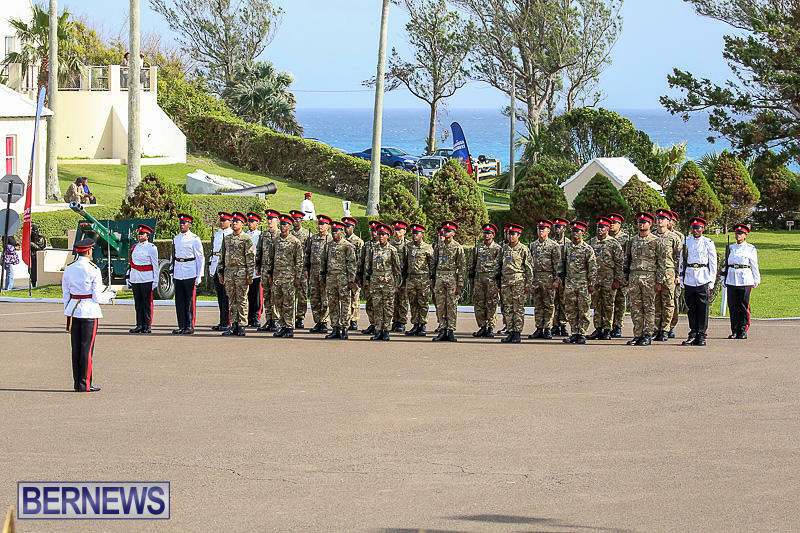 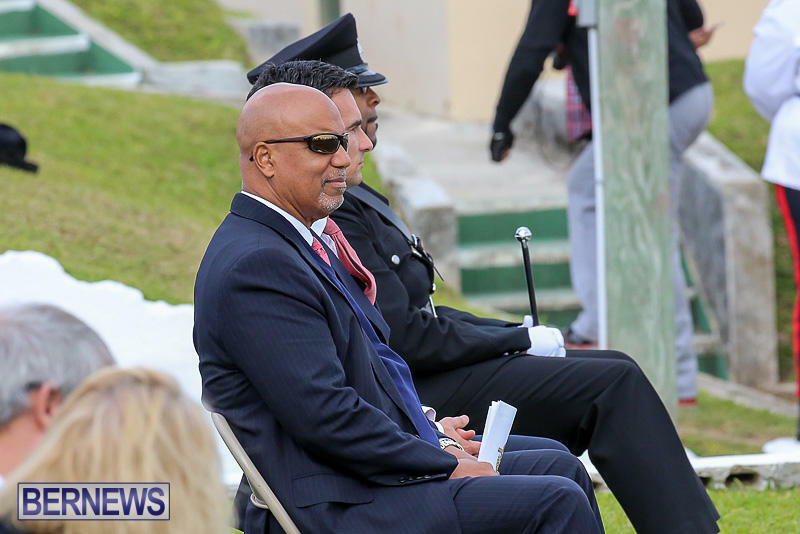 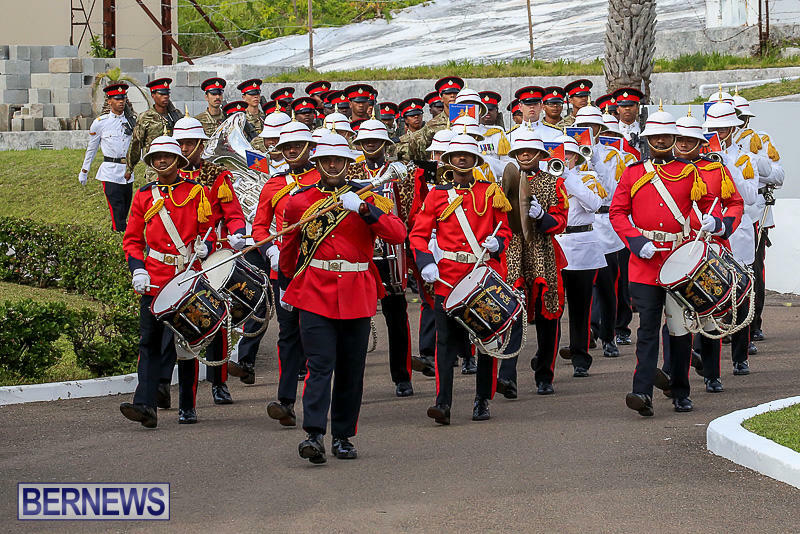 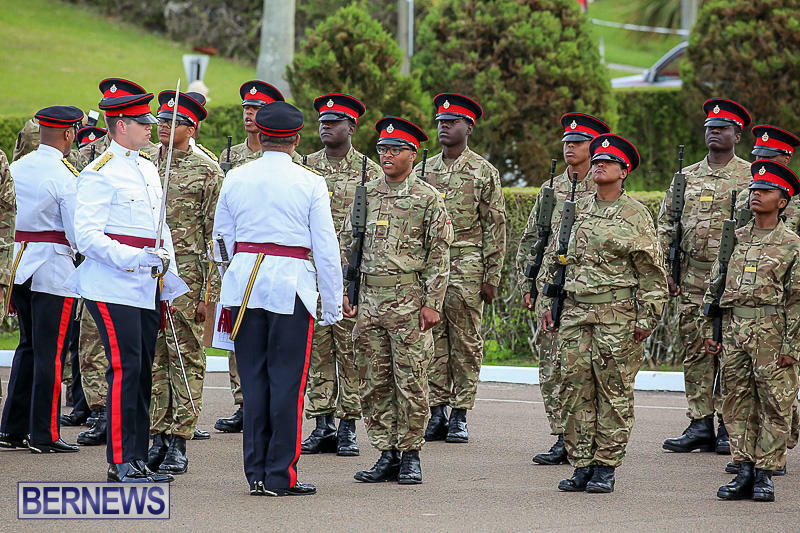 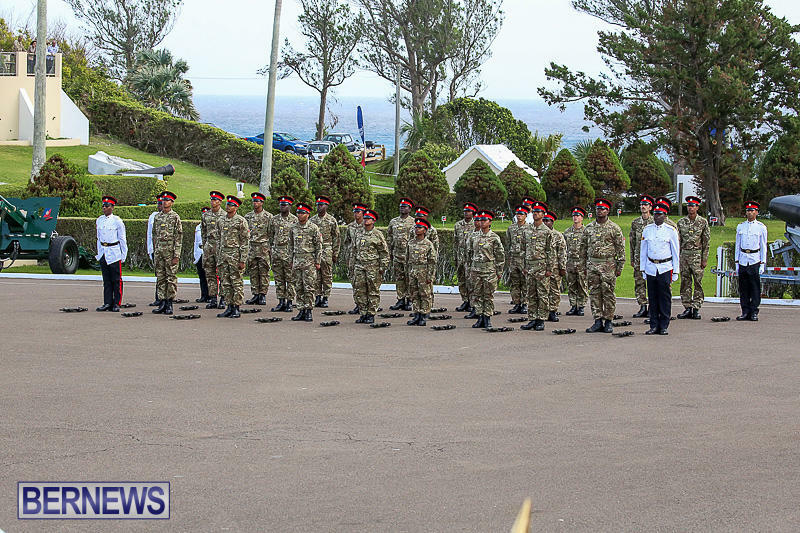 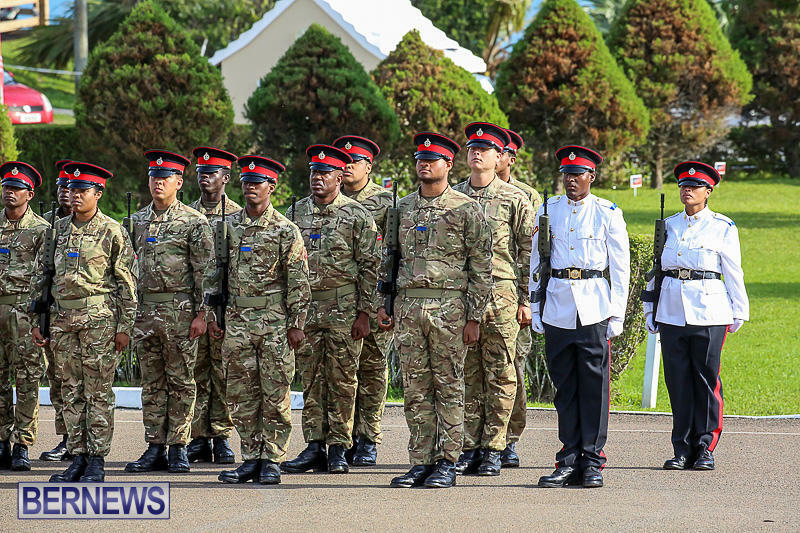 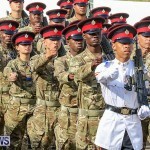 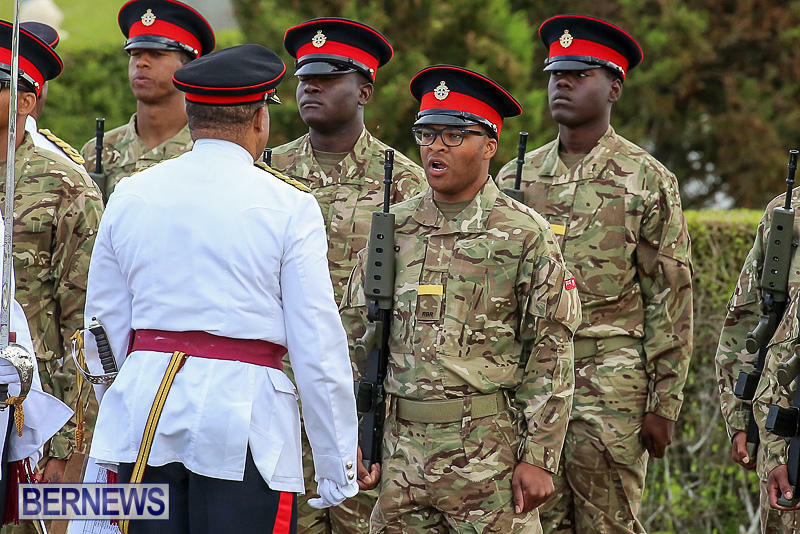 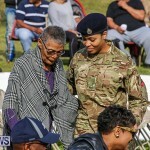 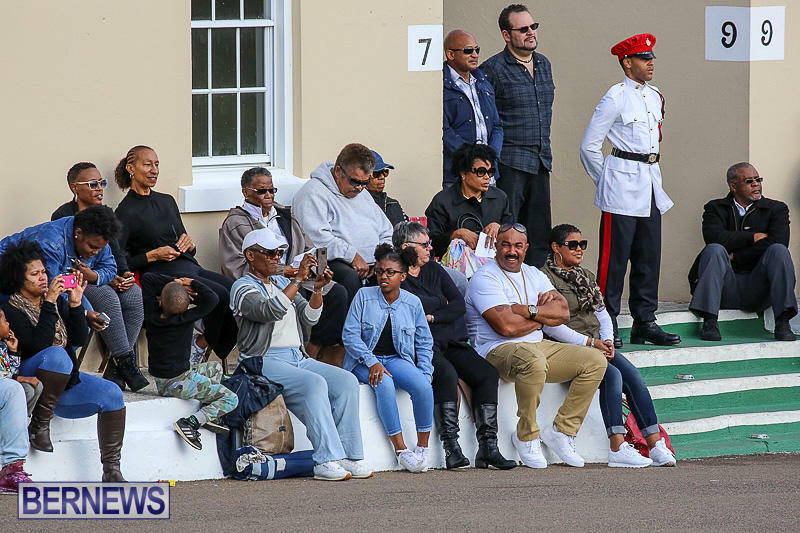 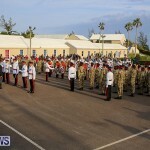 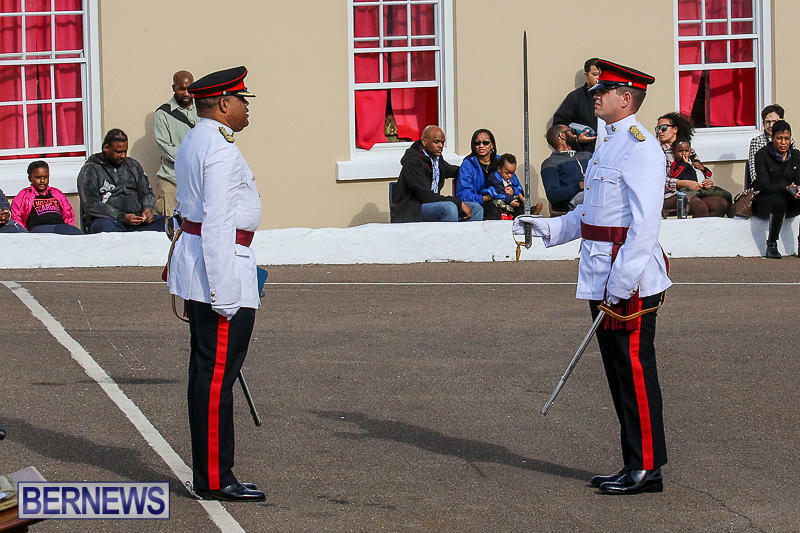 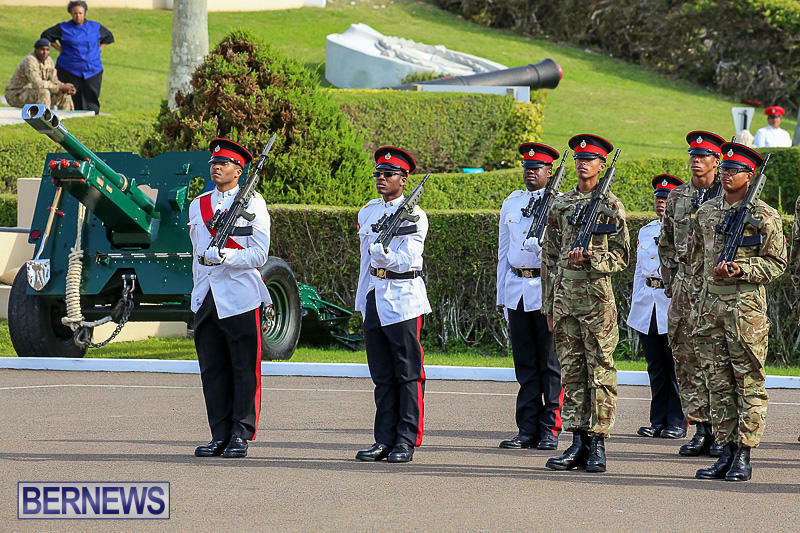 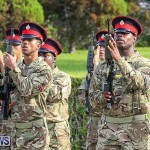 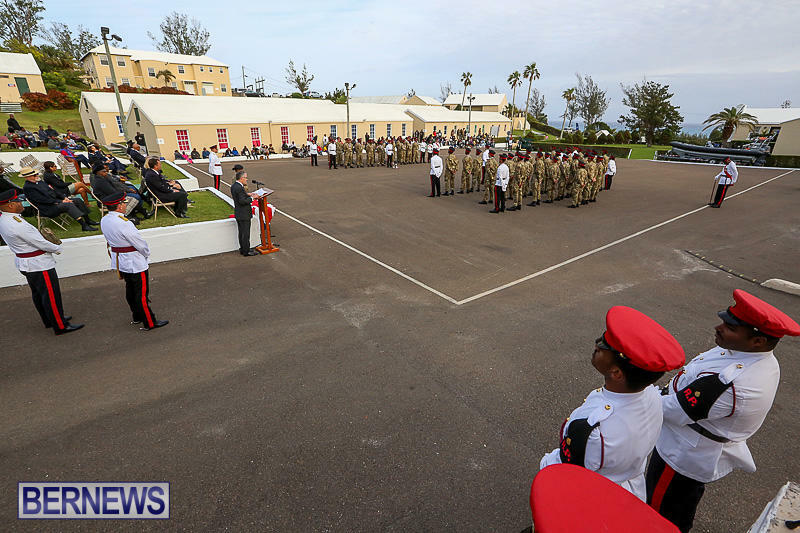 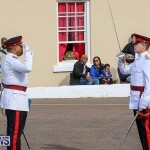 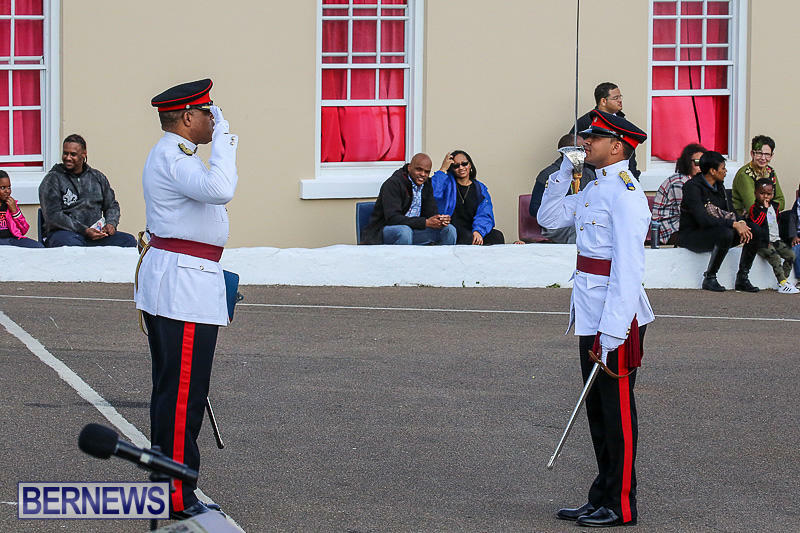 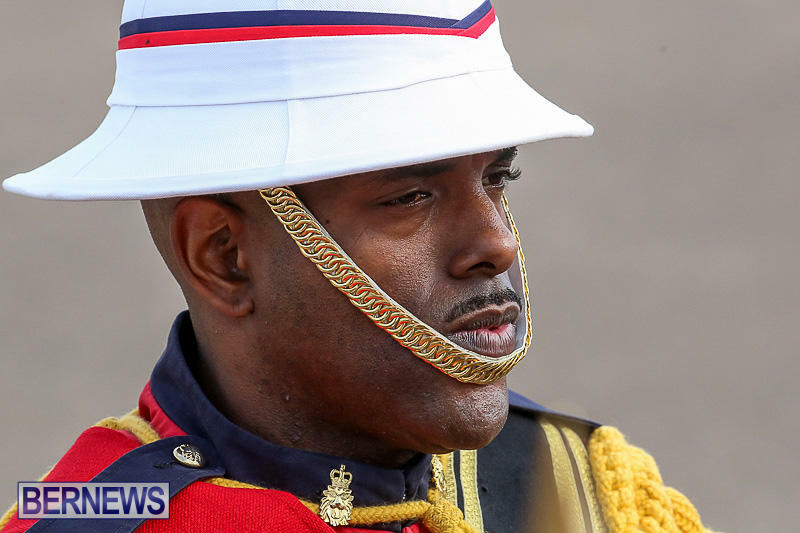 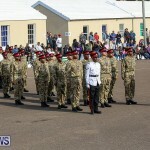 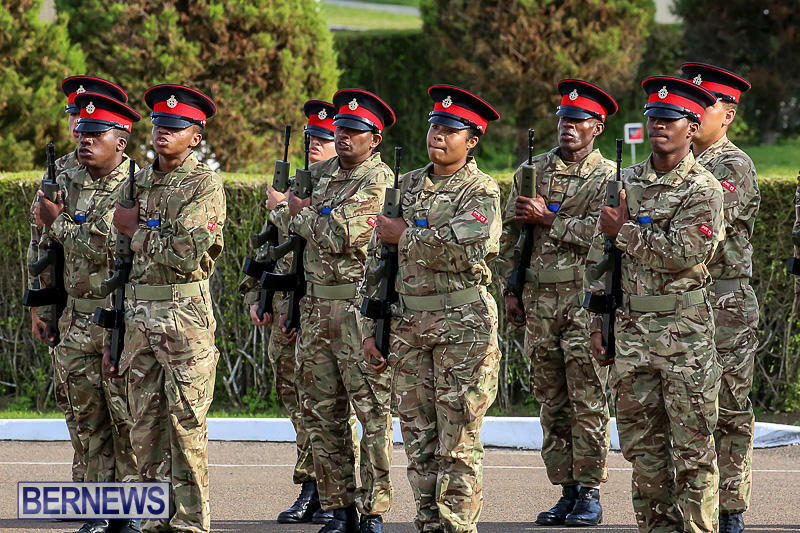 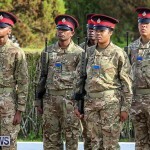 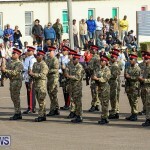 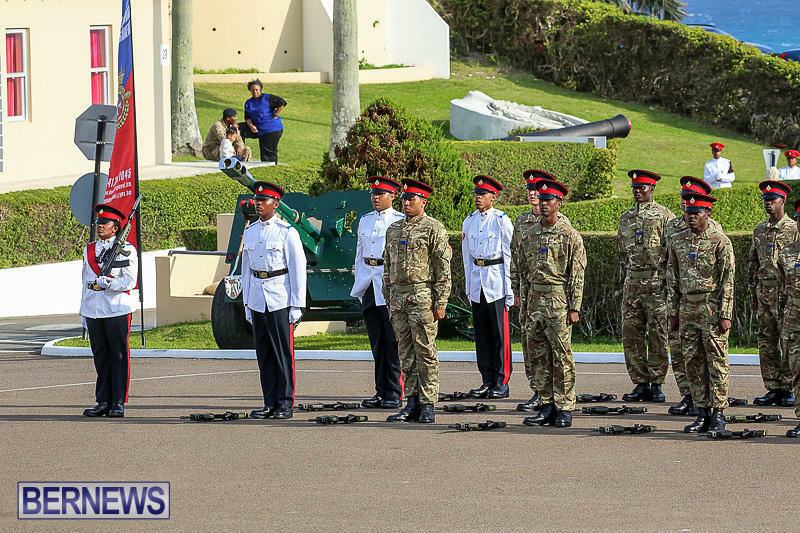 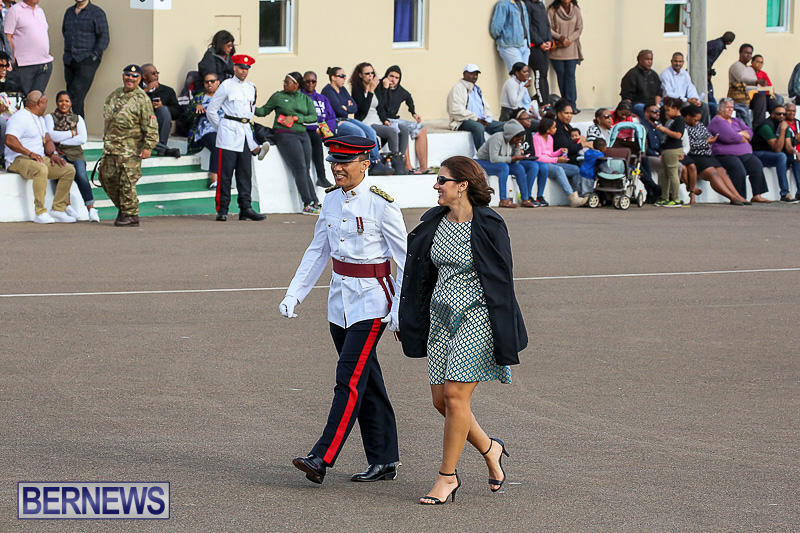 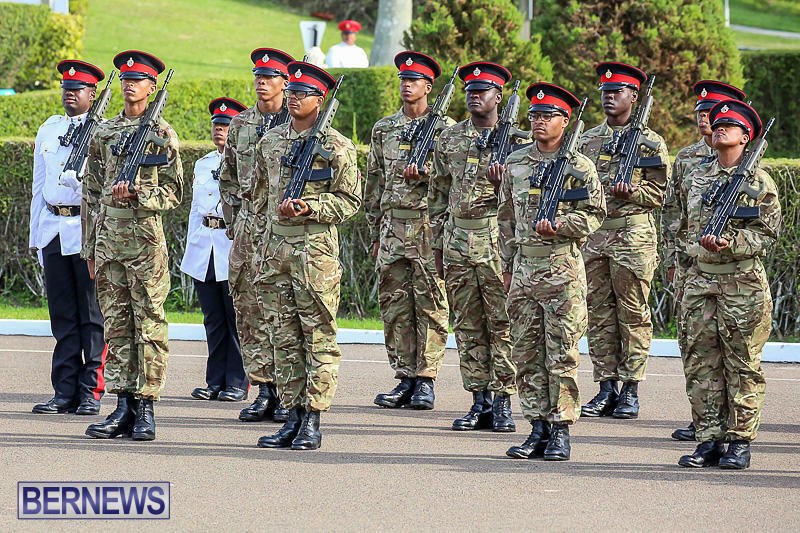 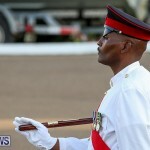 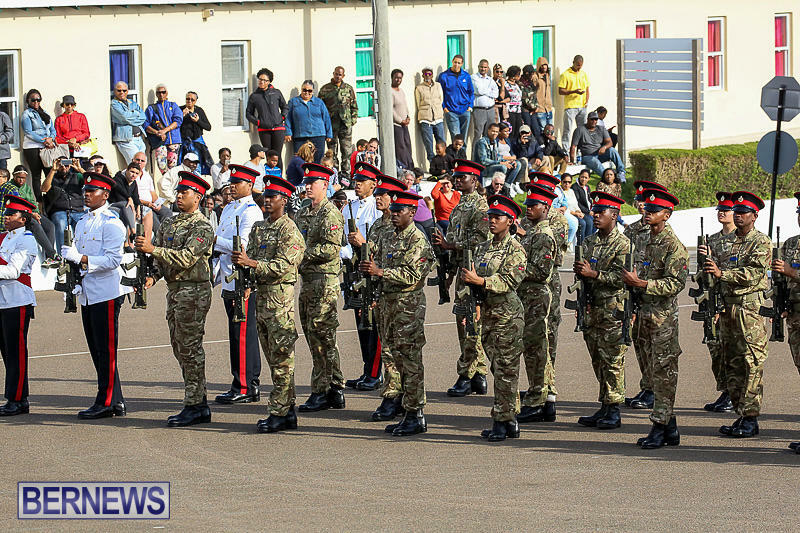 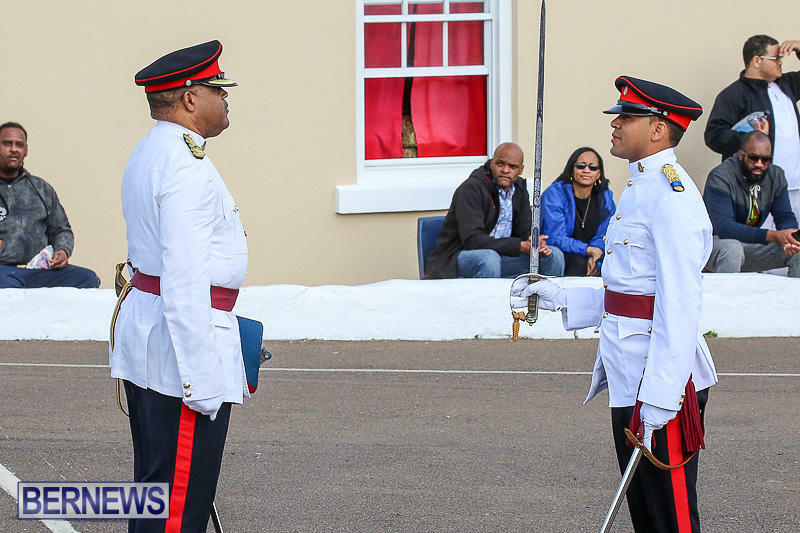 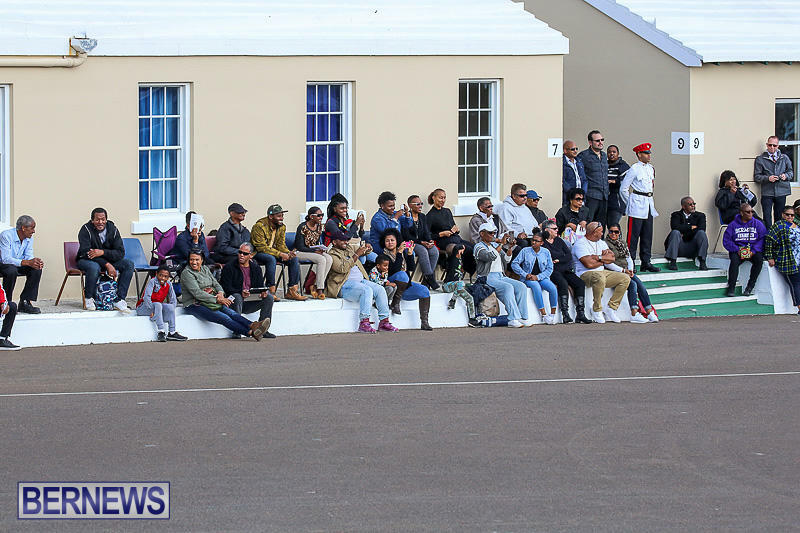 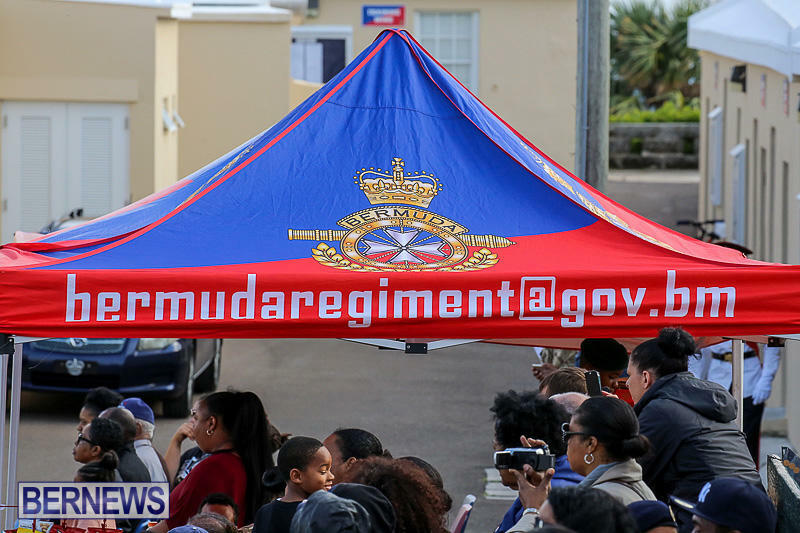 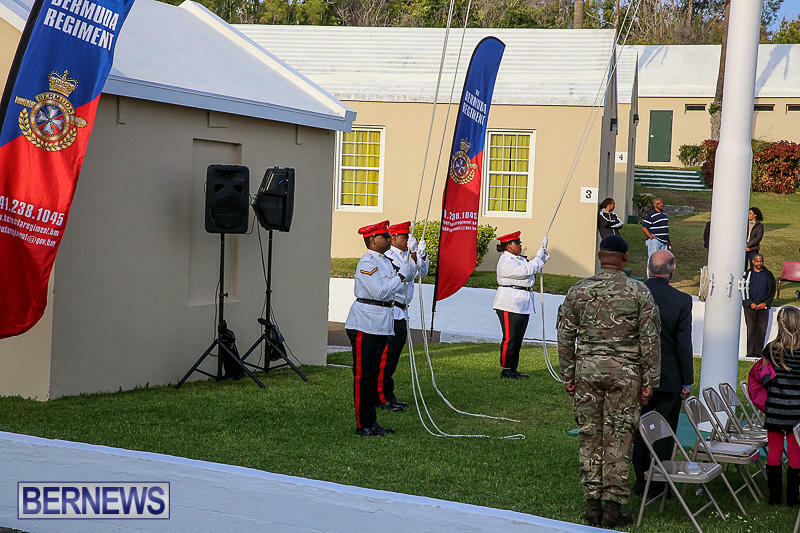 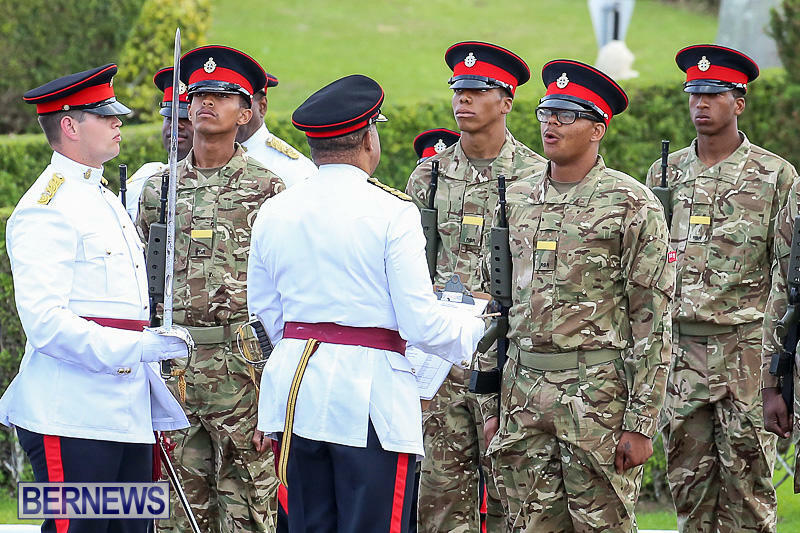 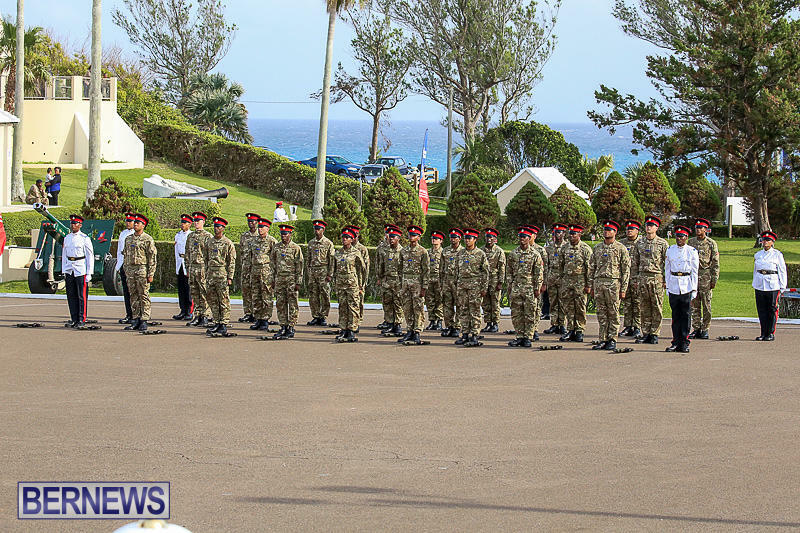 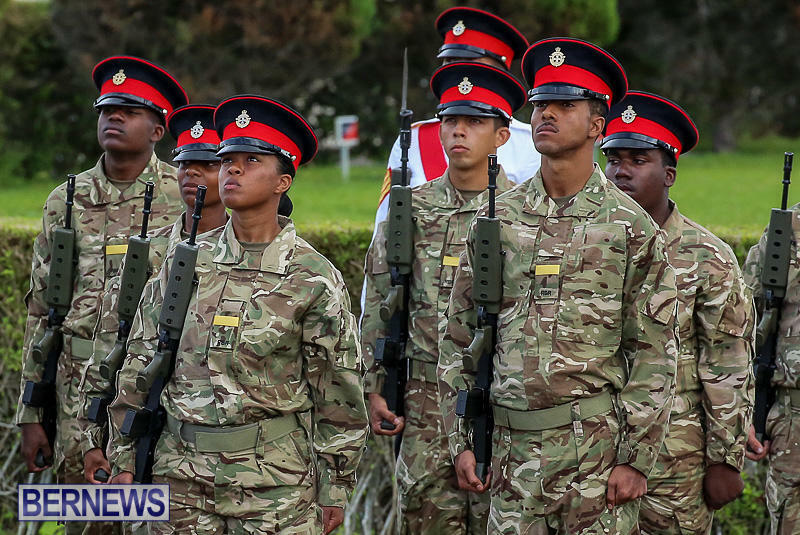 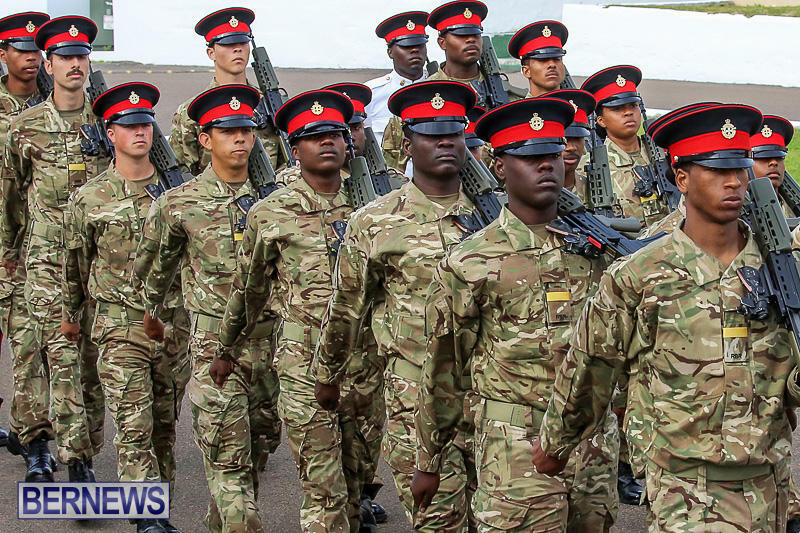 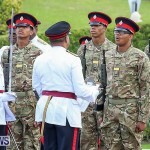 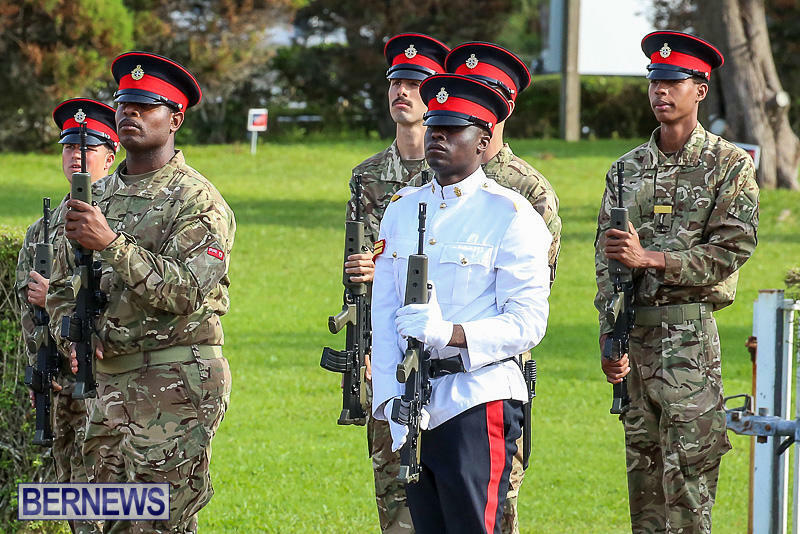 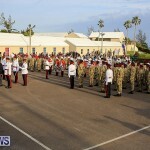 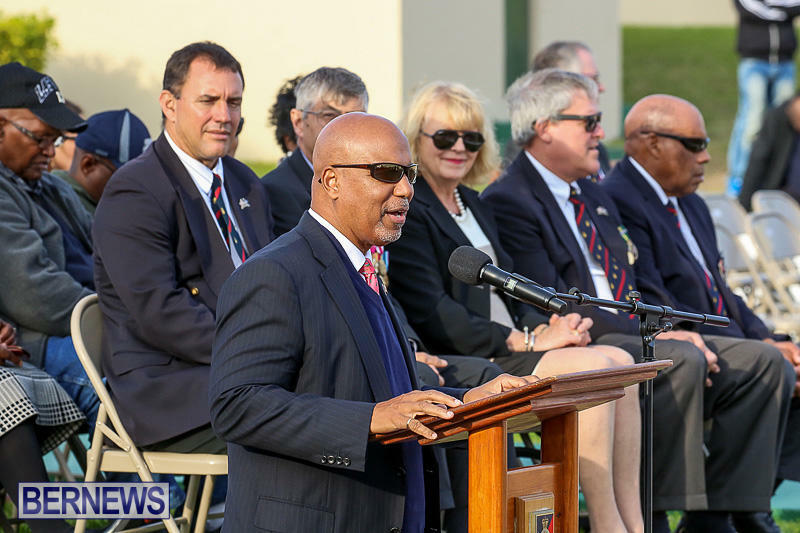 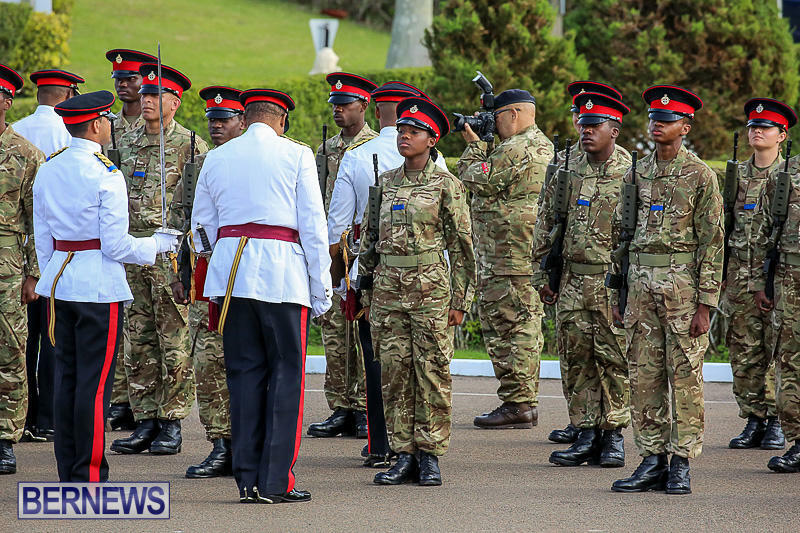 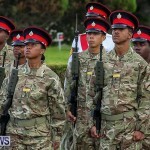 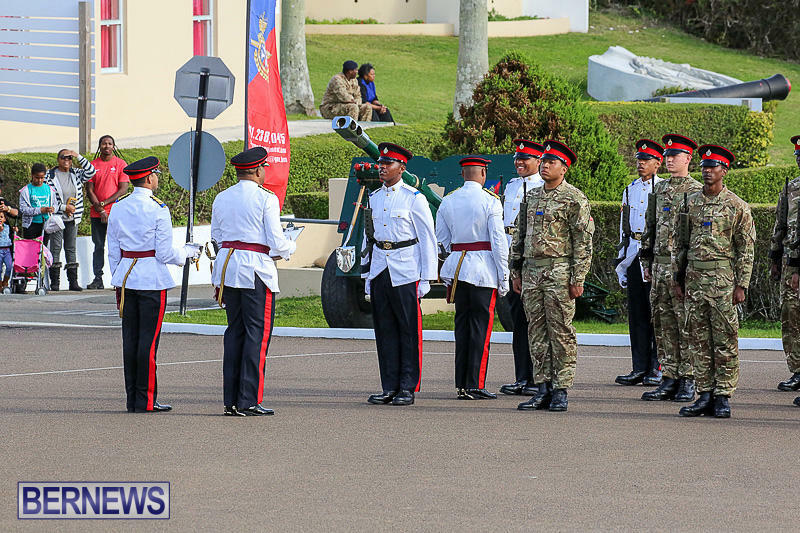 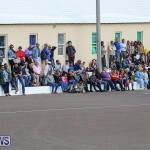 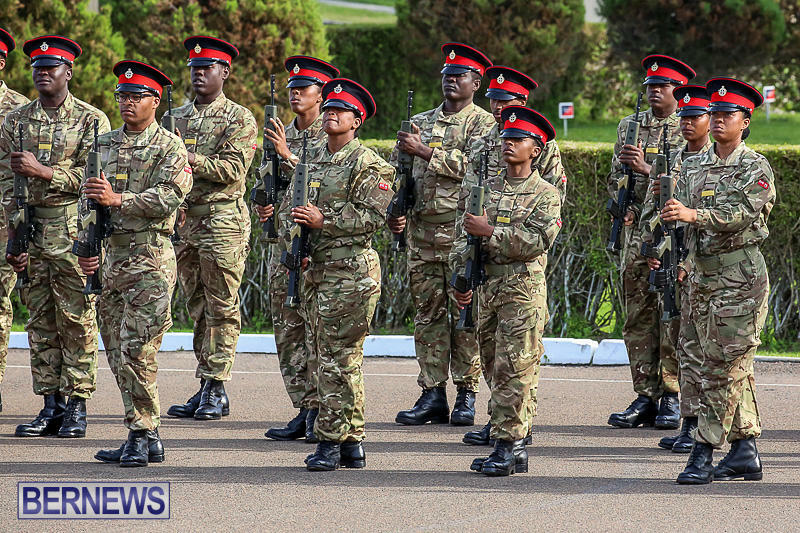 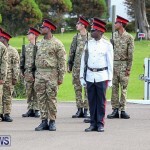 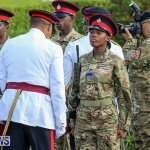 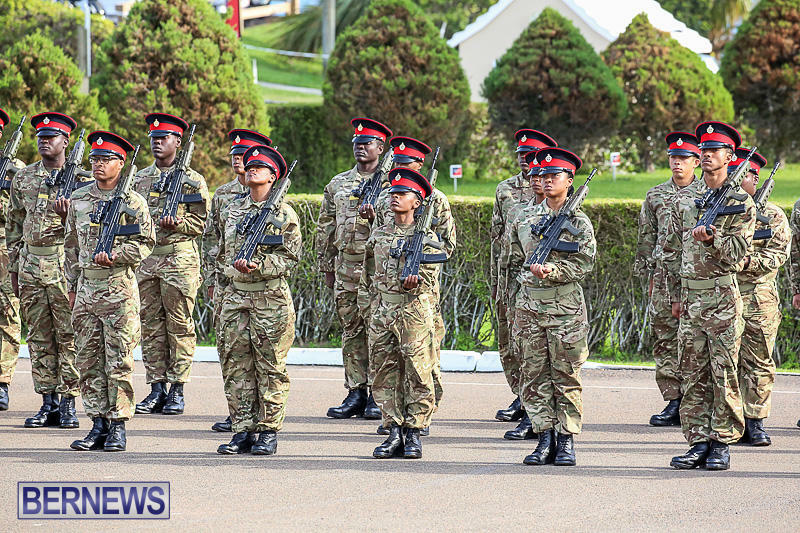 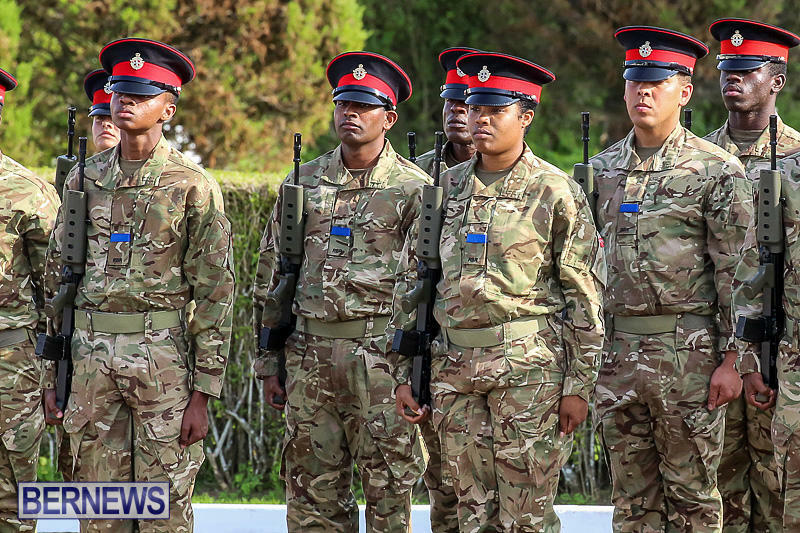 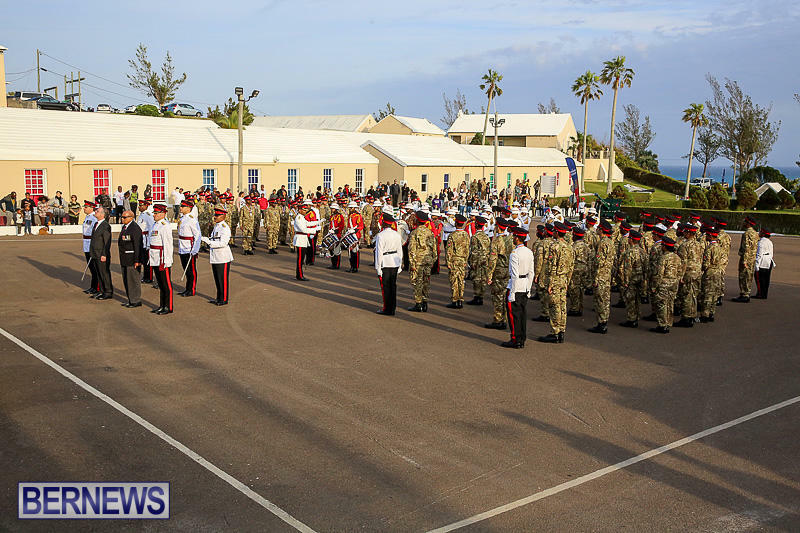 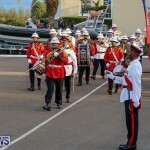 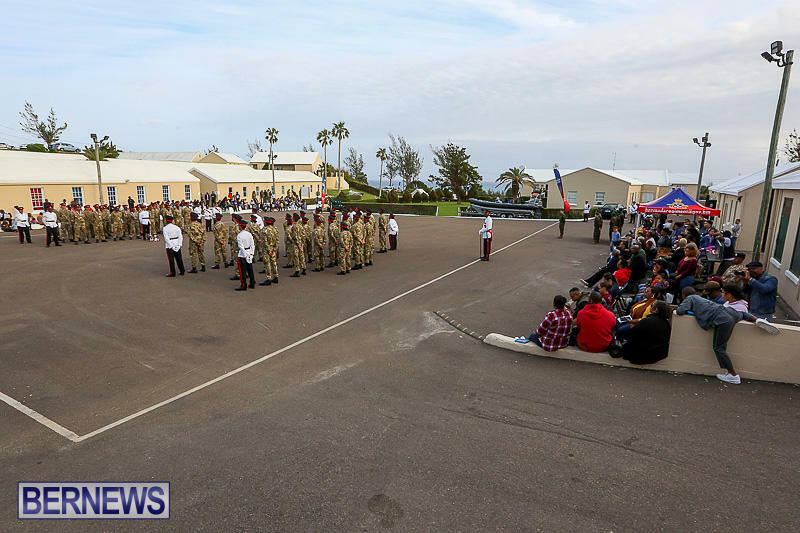 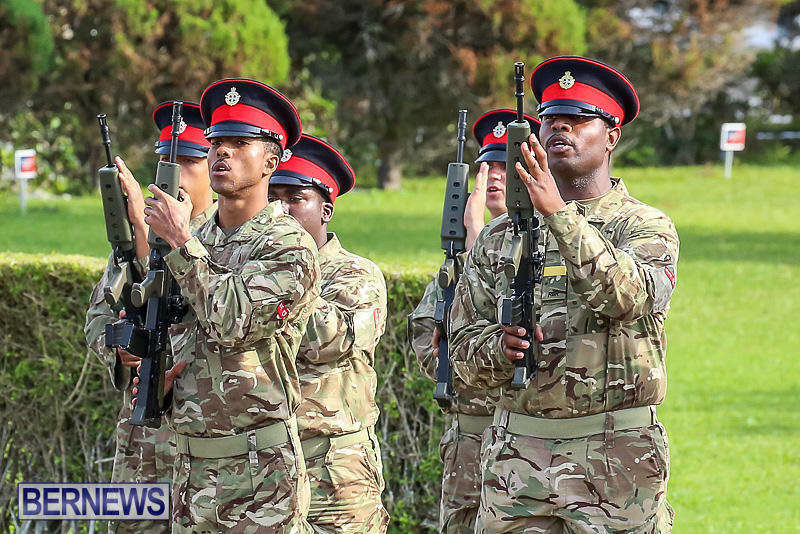 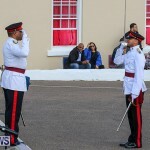 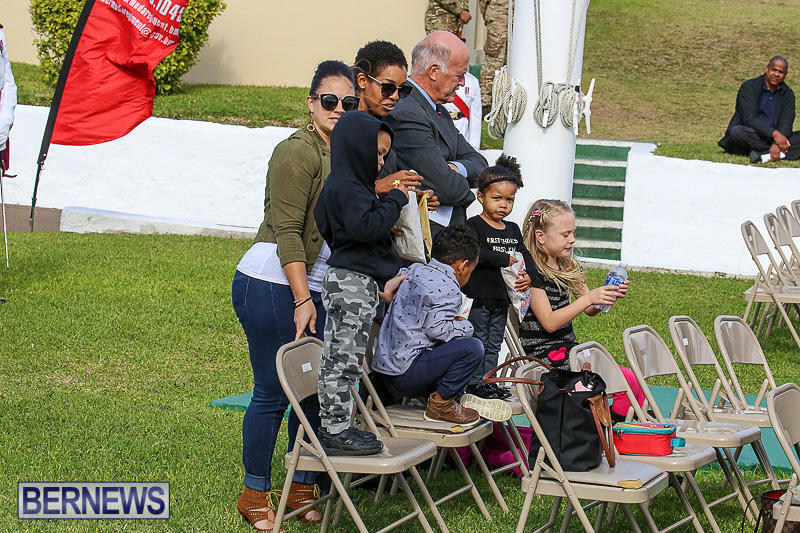 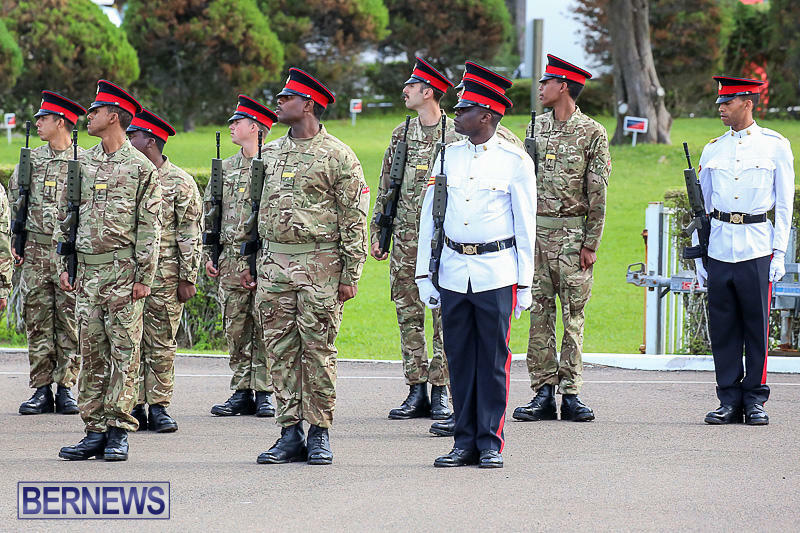 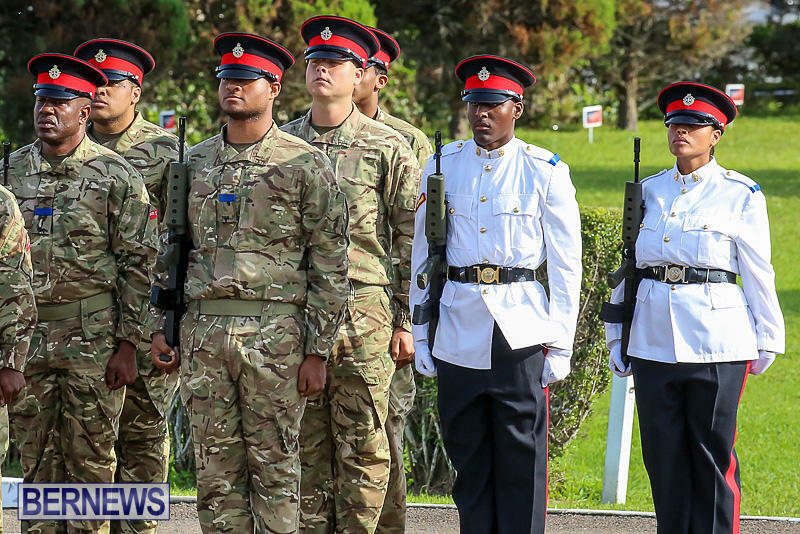 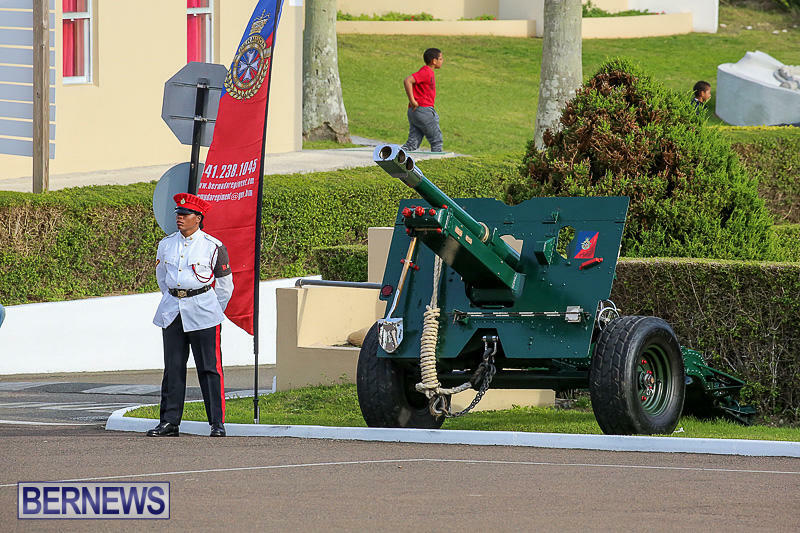 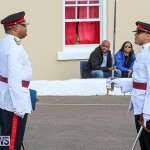 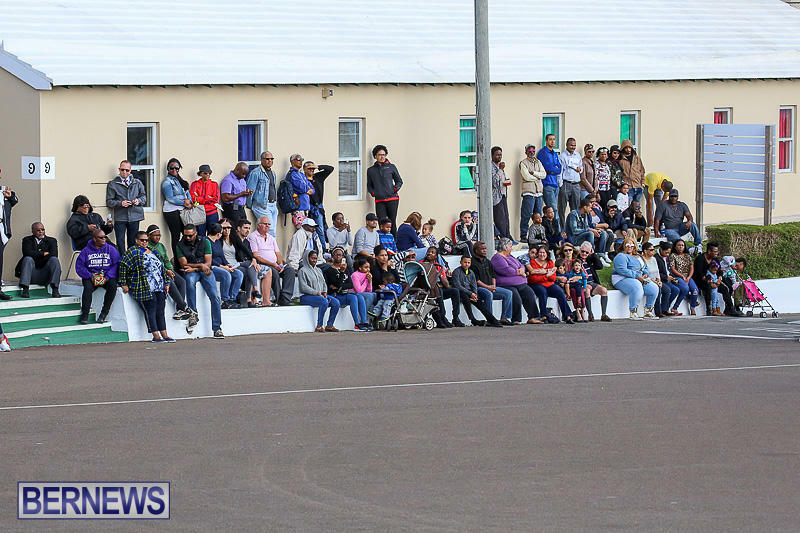 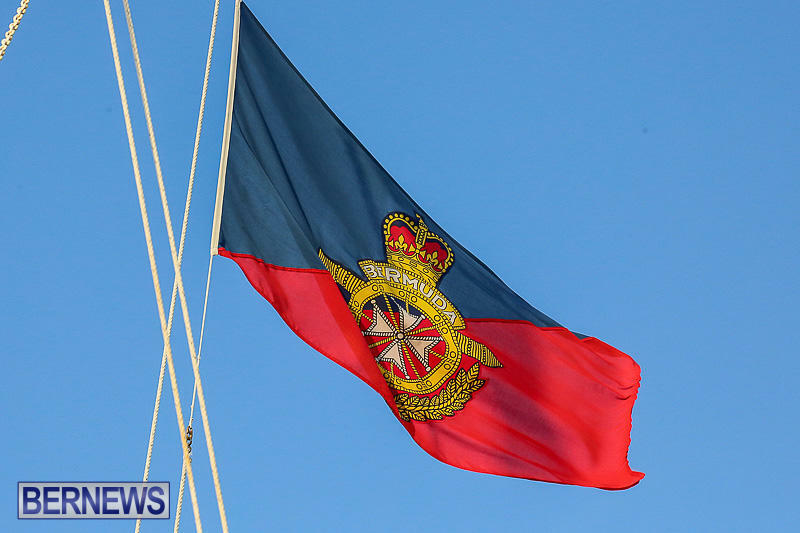 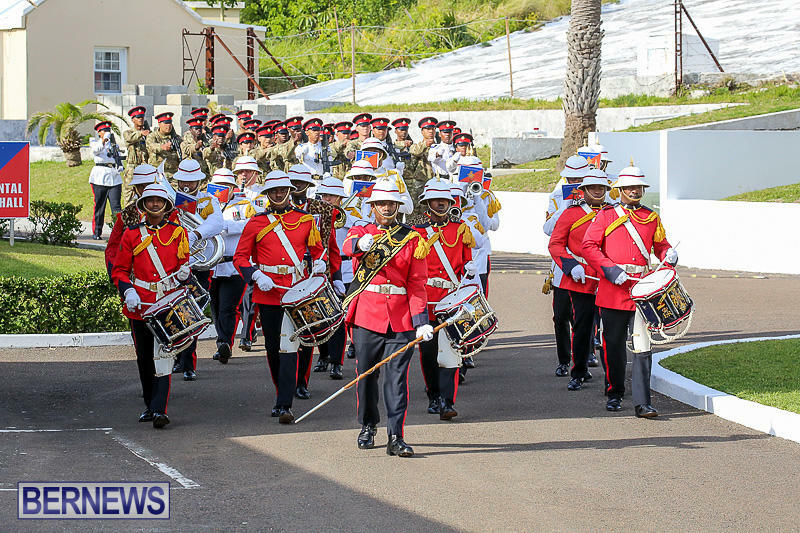 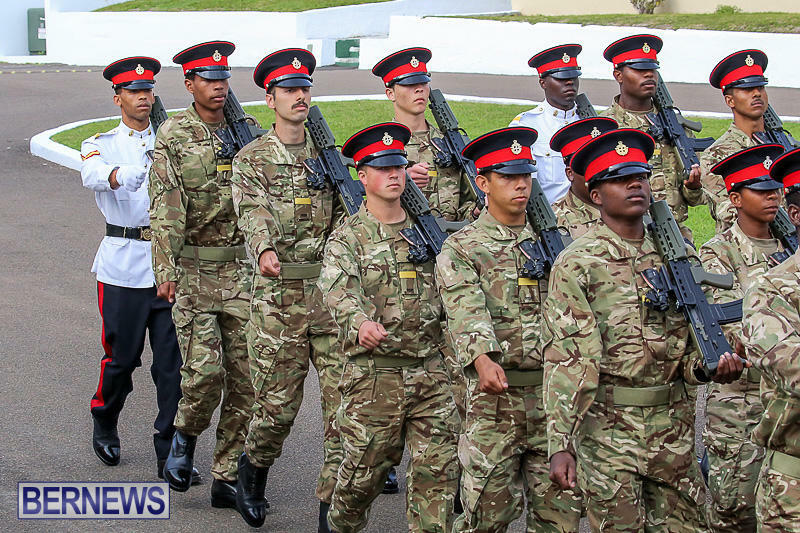 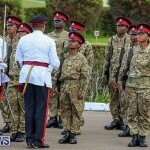 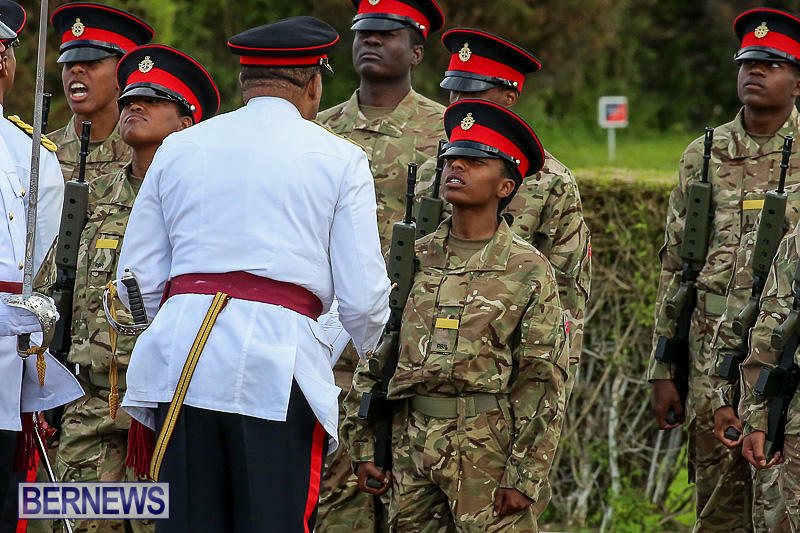 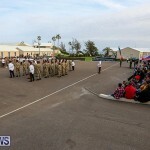 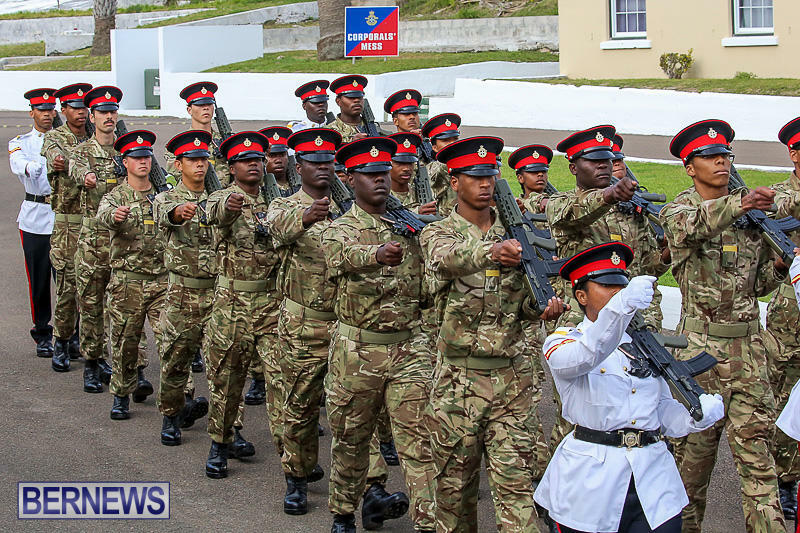 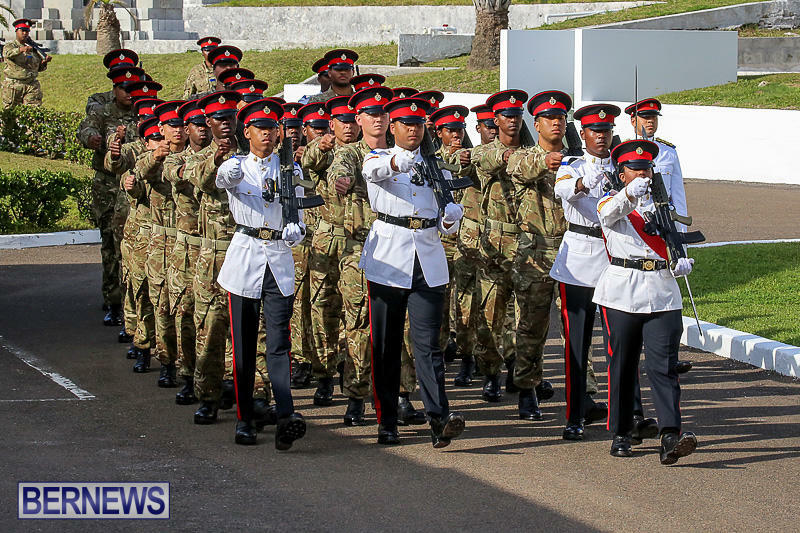 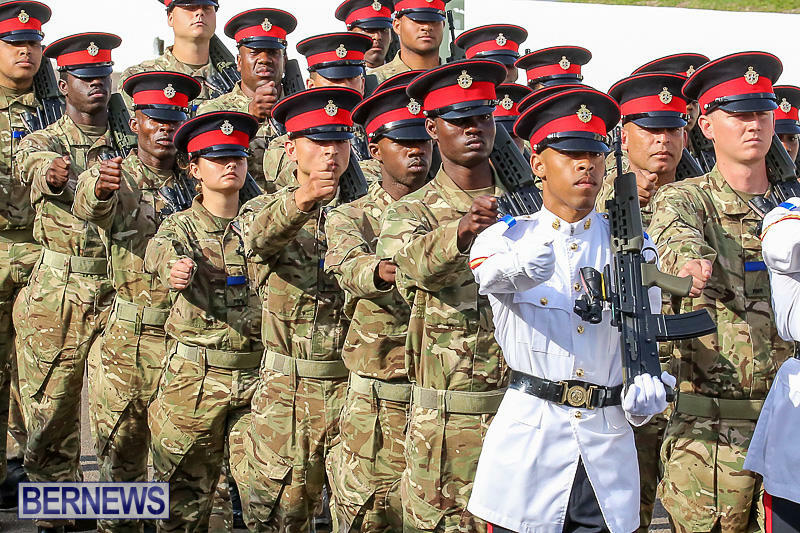 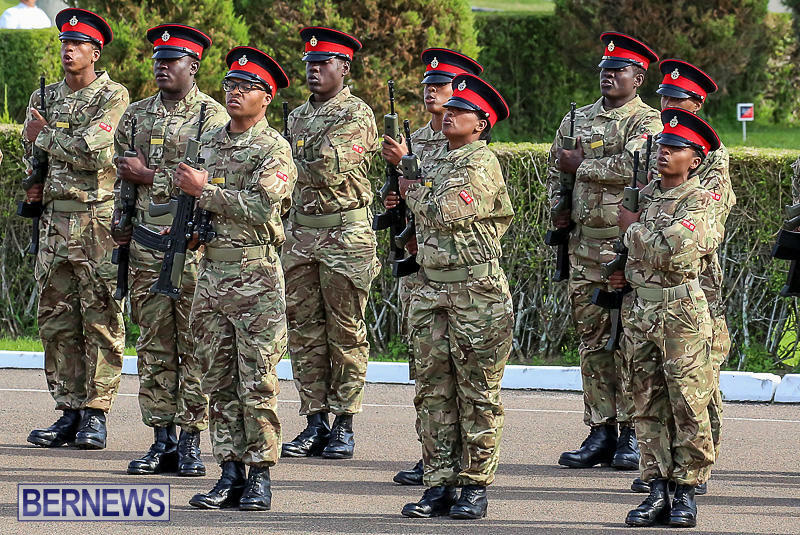 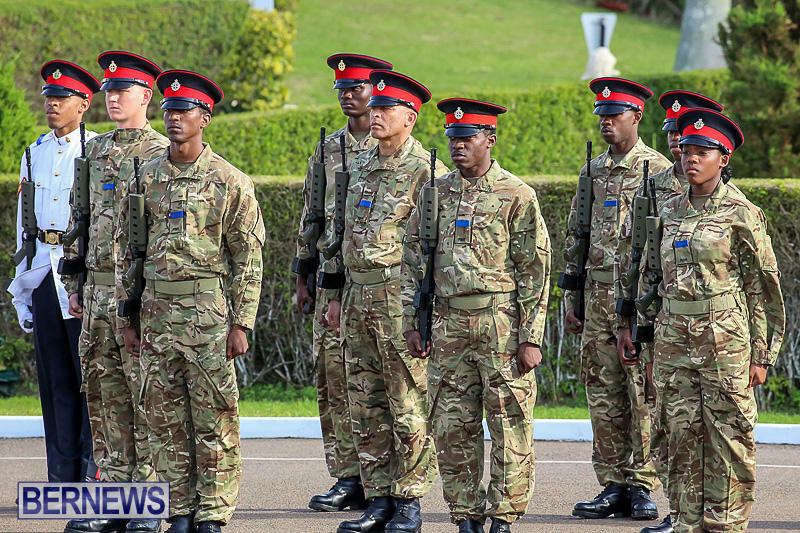 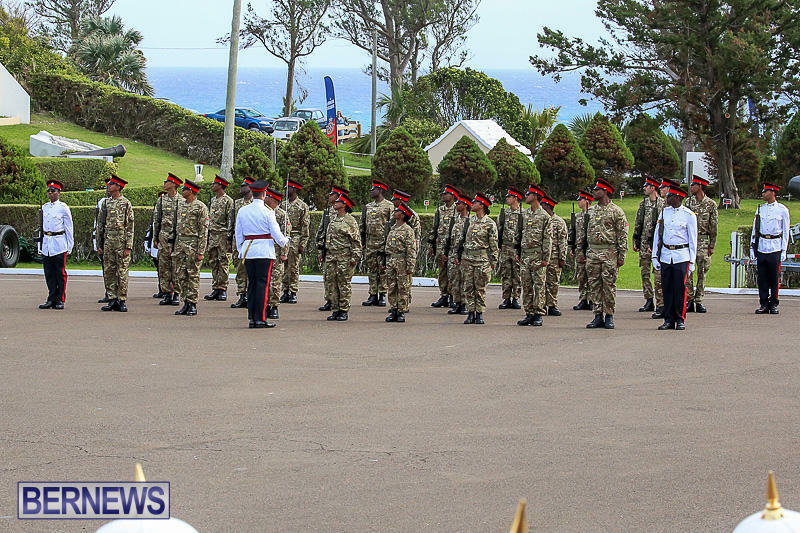 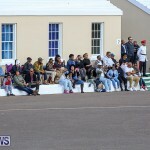 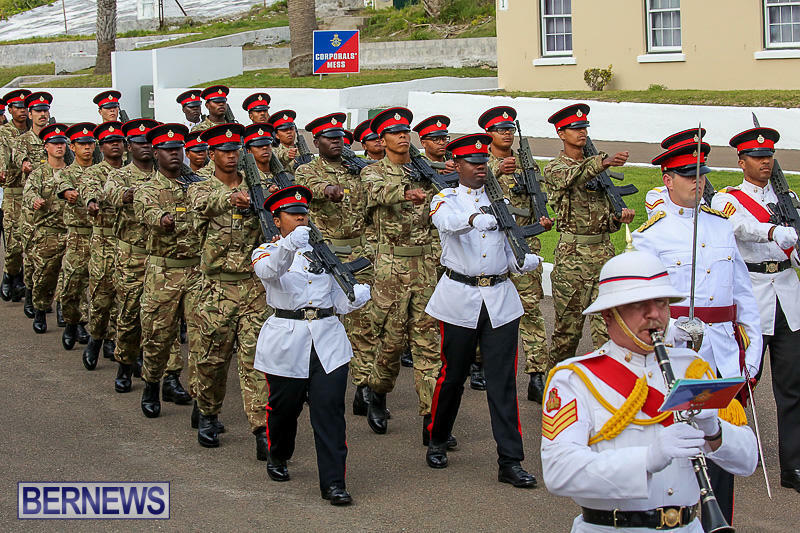 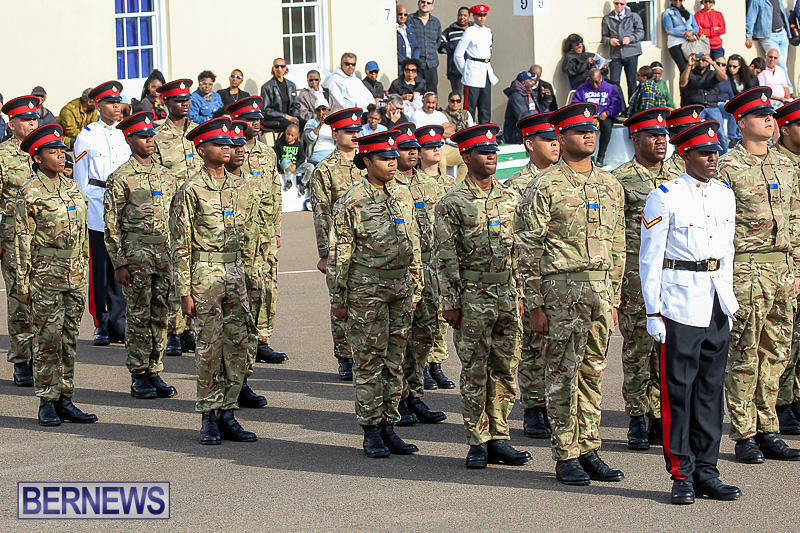 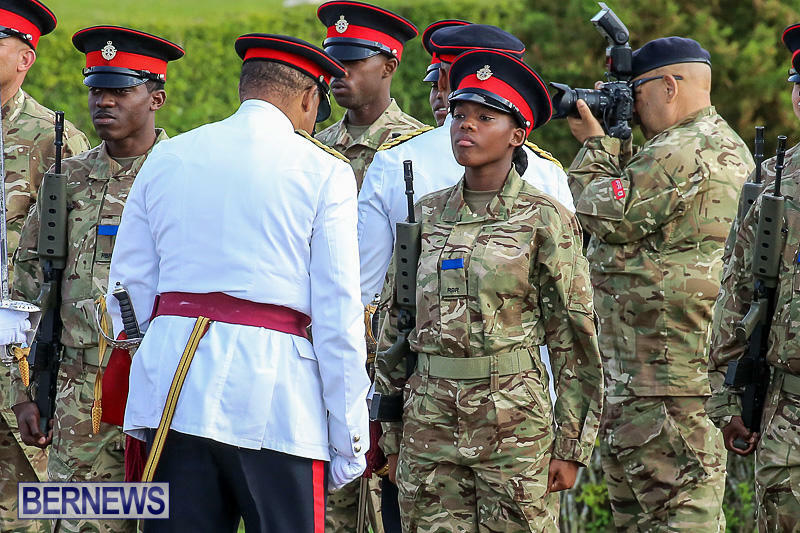 The Royal Bermuda Regiment’s second-ever all-volunteer Recruit Camp culminated this afternoon [Jan 28], with the recruits taking part in the Passing Out Parade at Warwick Camp in front of gathered family and friends. 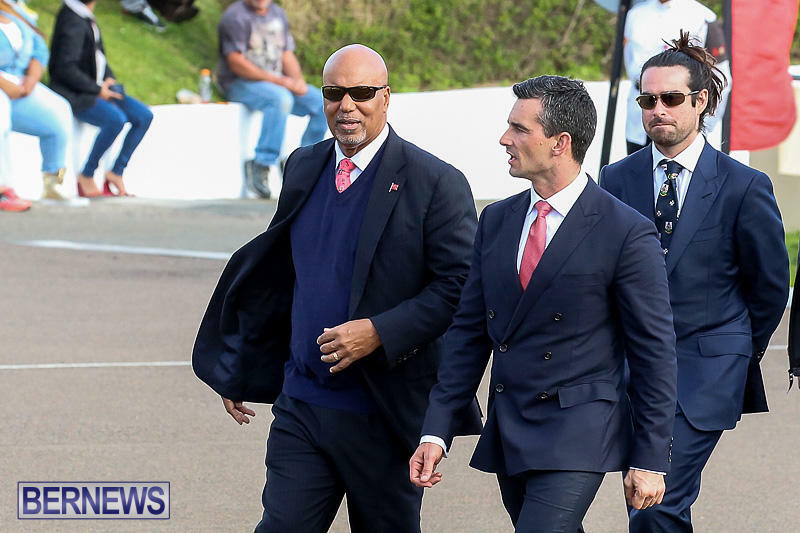 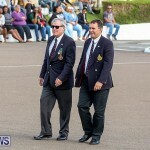 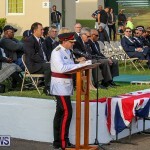 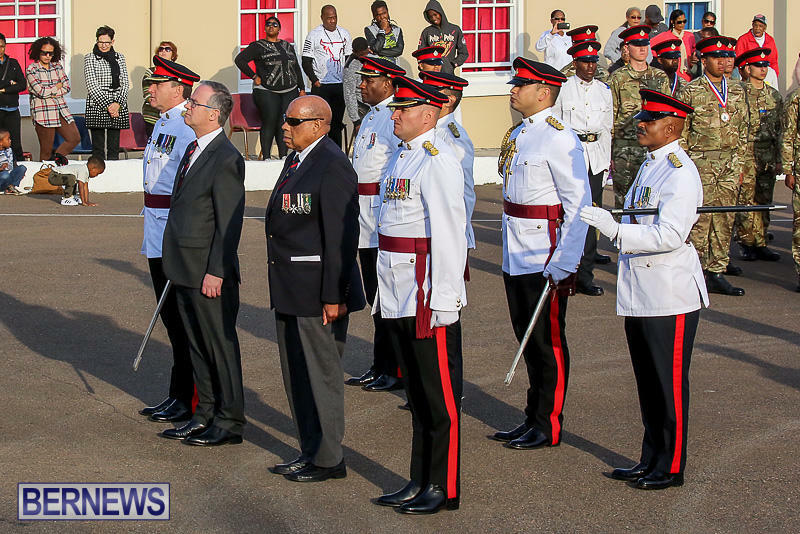 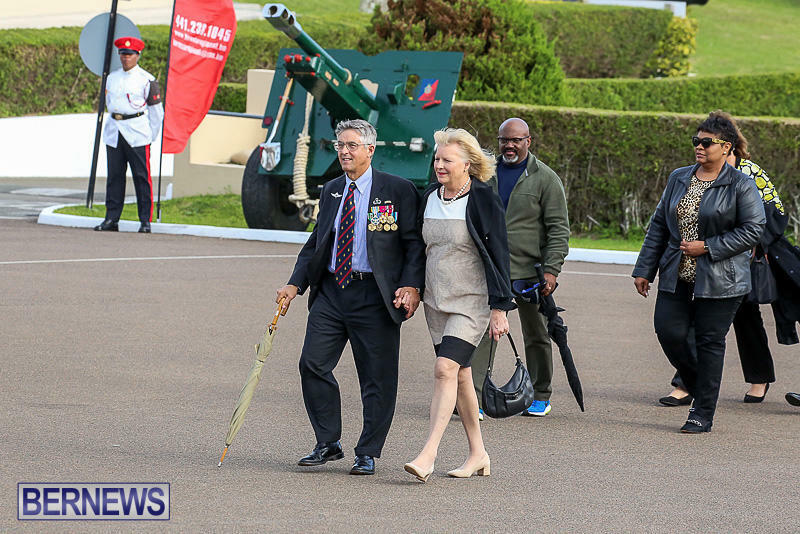 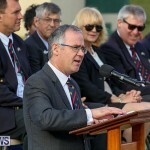 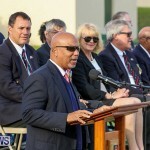 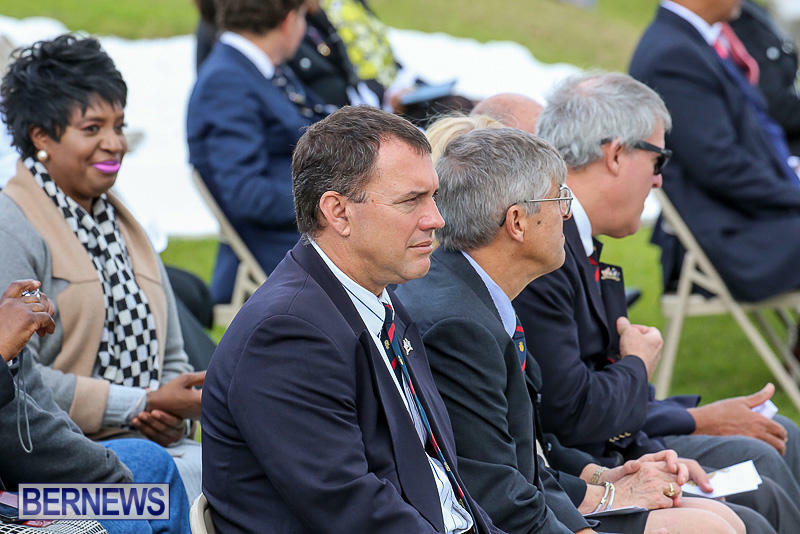 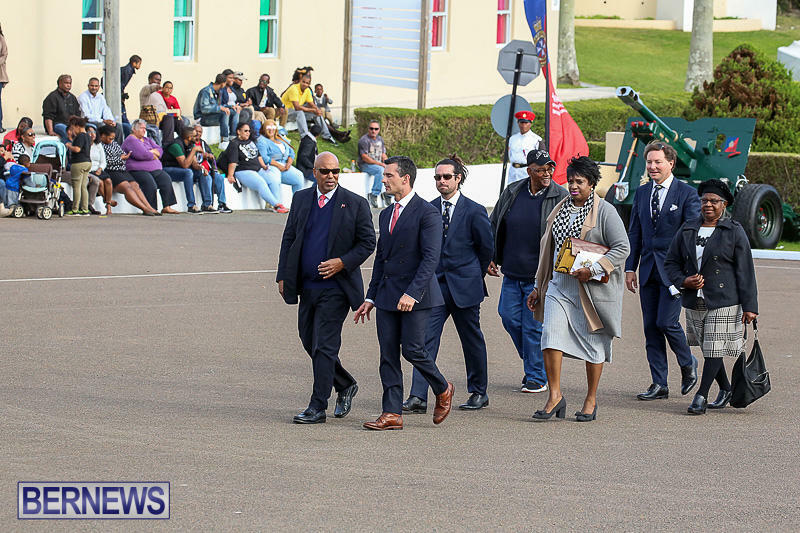 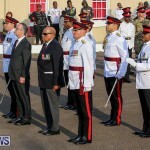 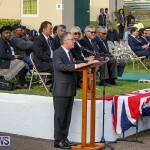 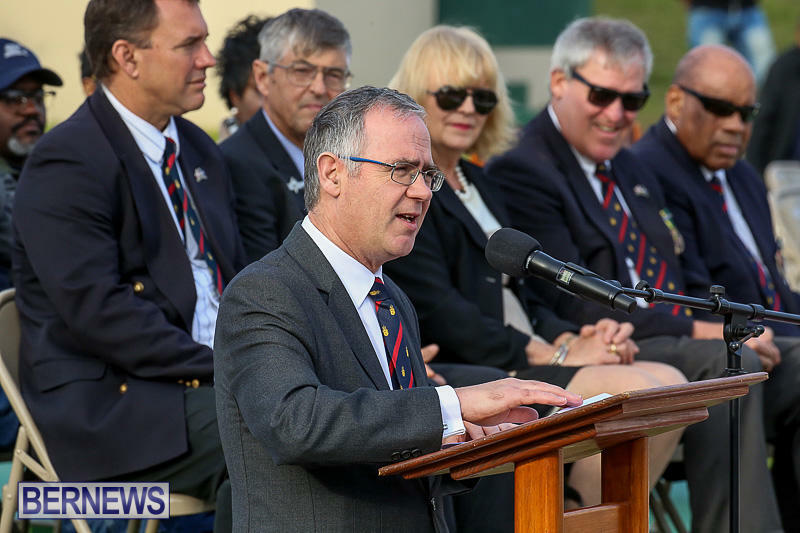 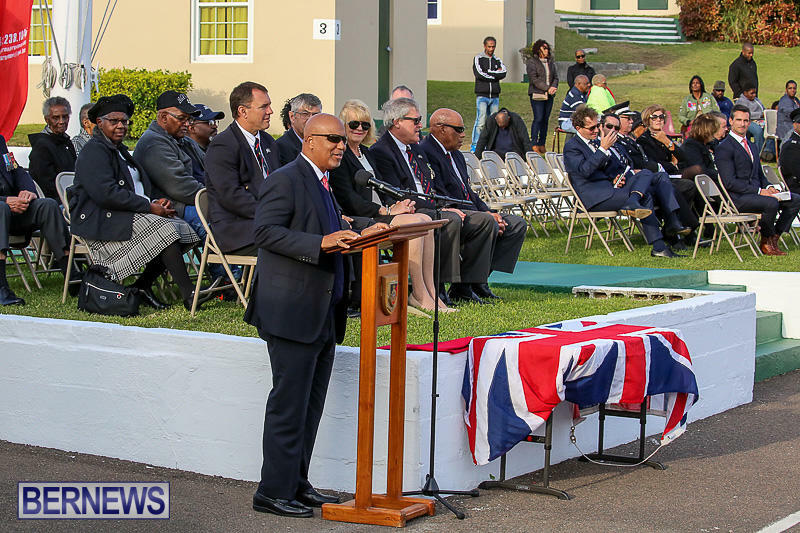 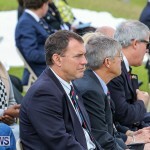 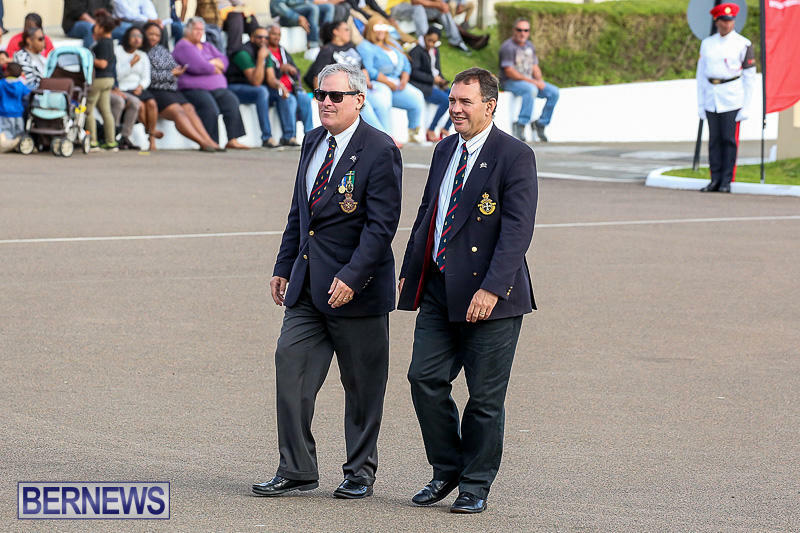 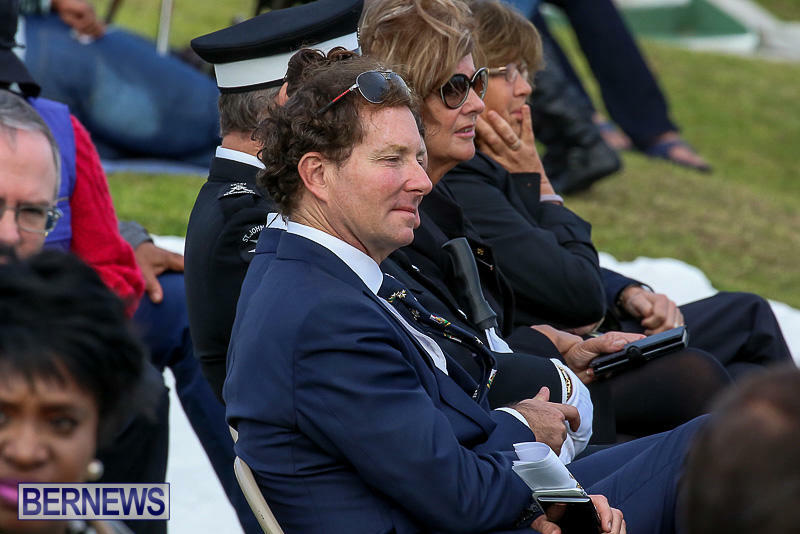 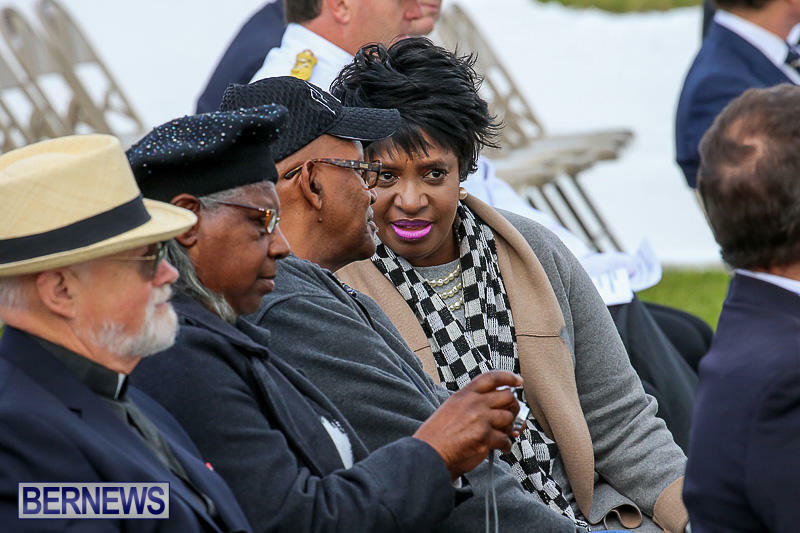 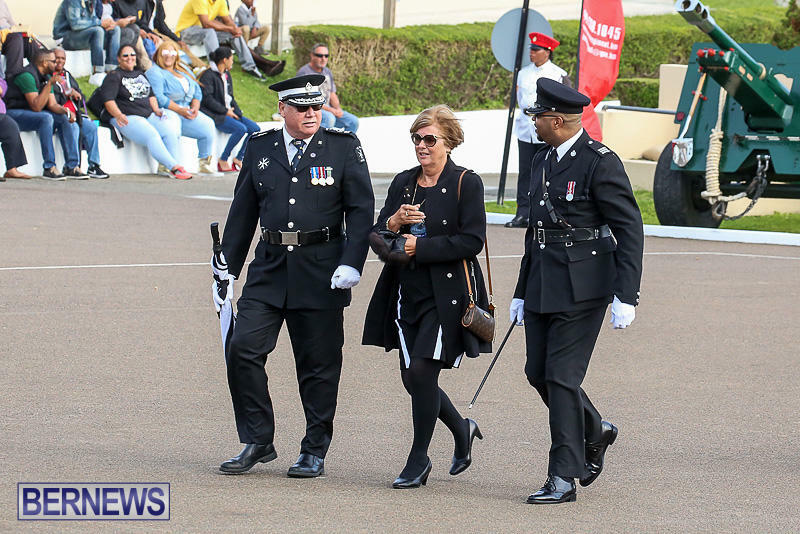 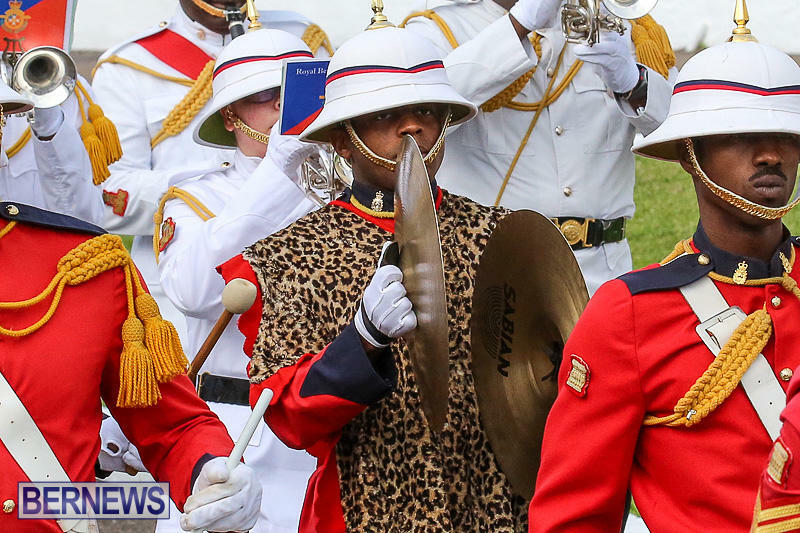 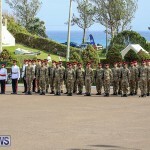 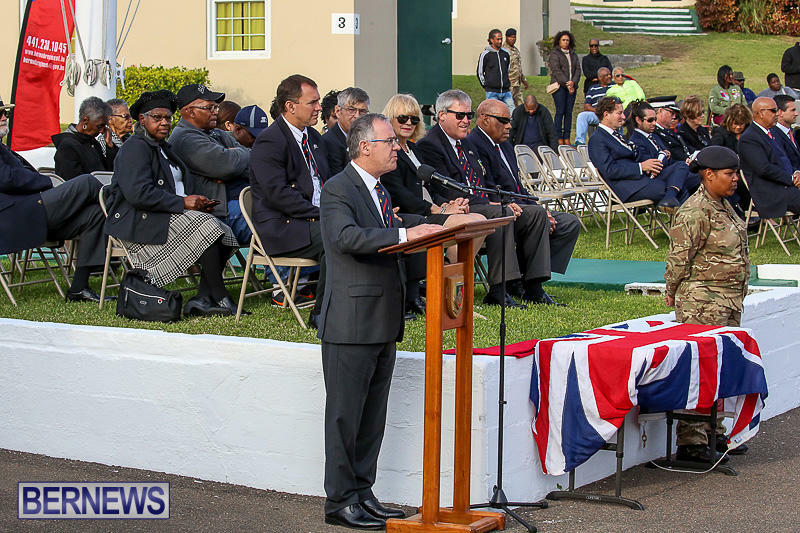 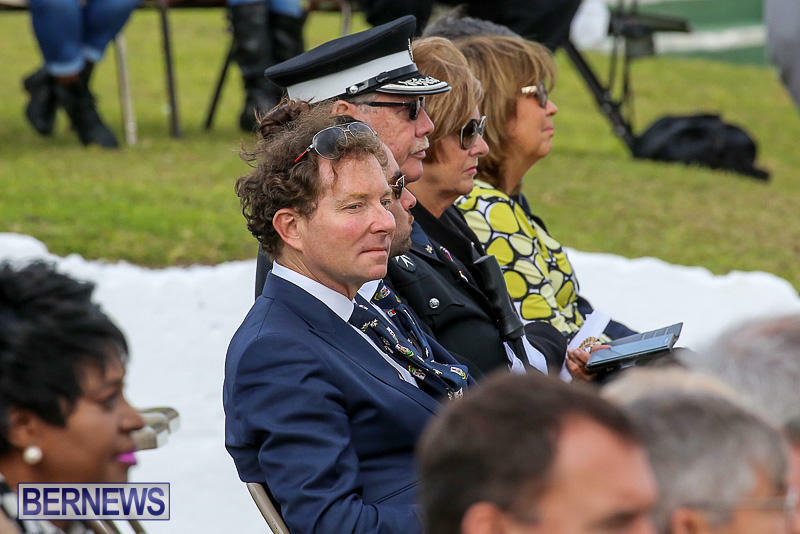 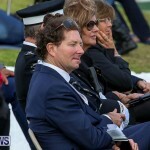 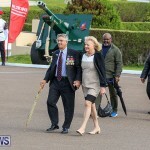 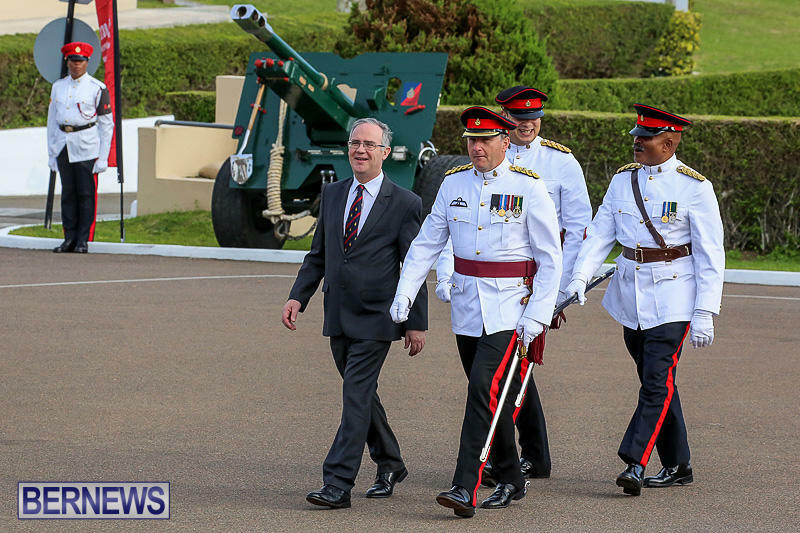 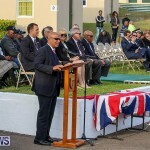 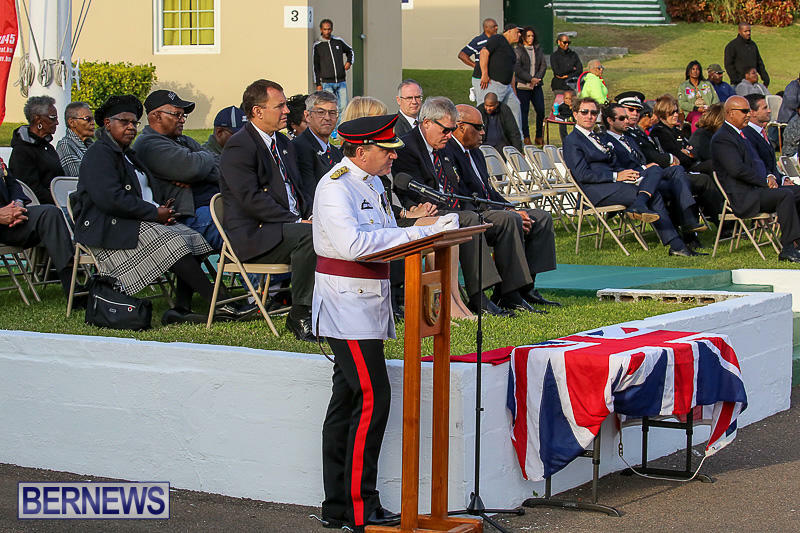 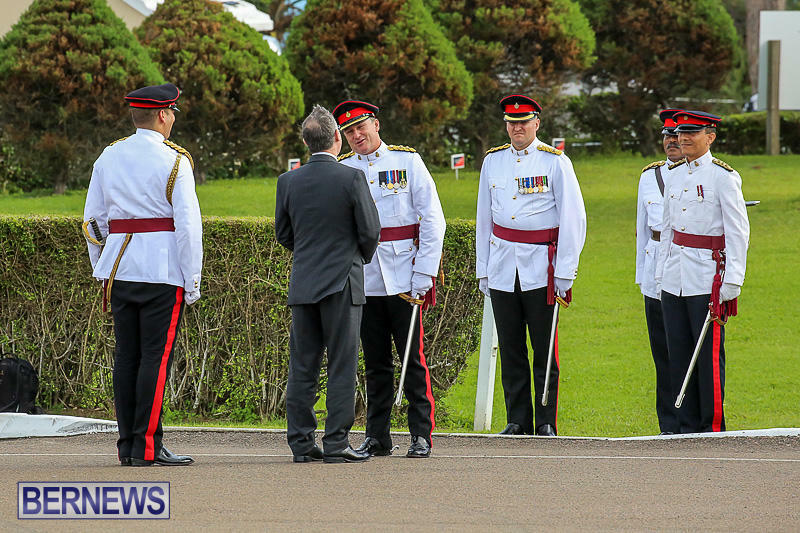 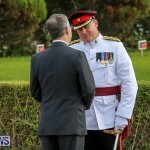 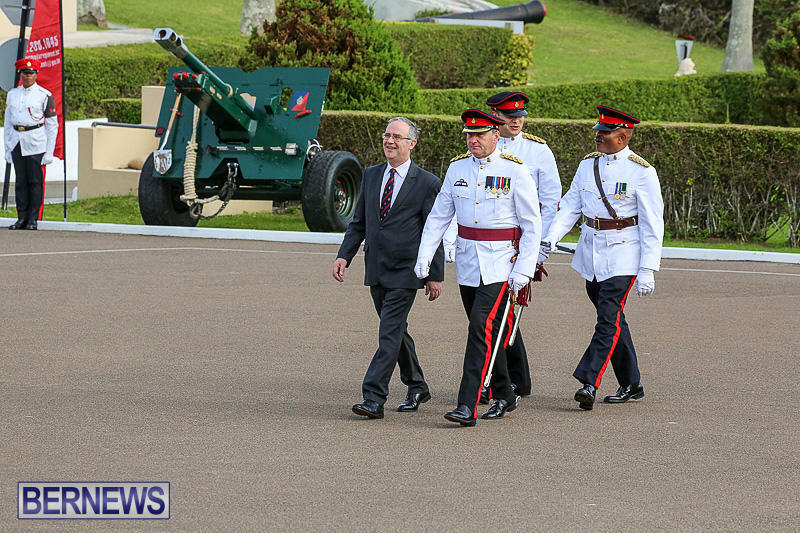 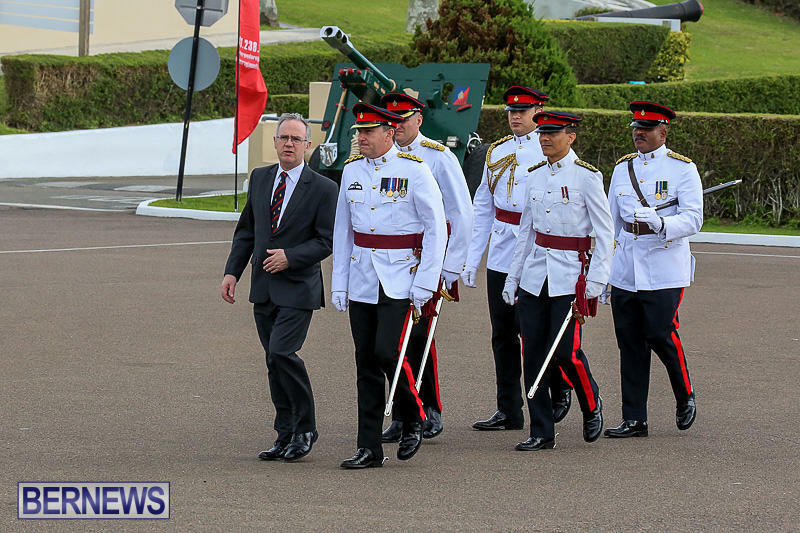 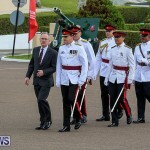 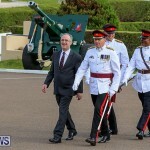 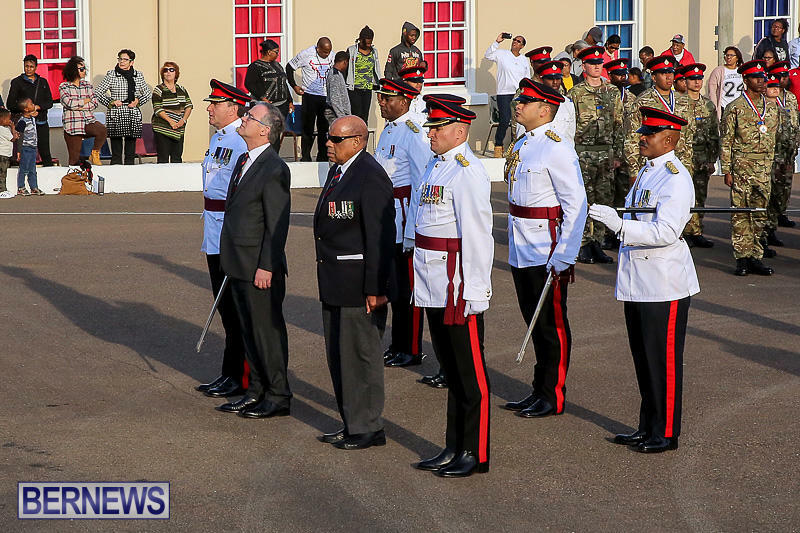 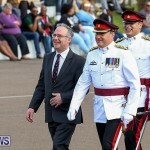 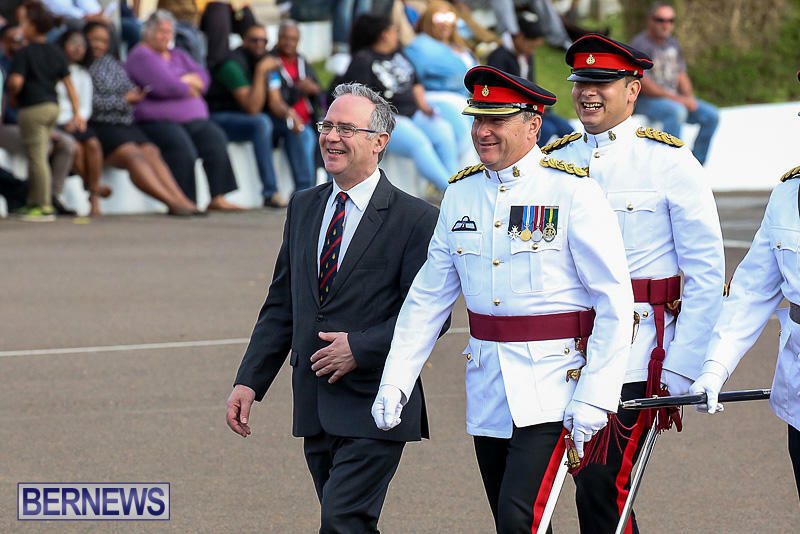 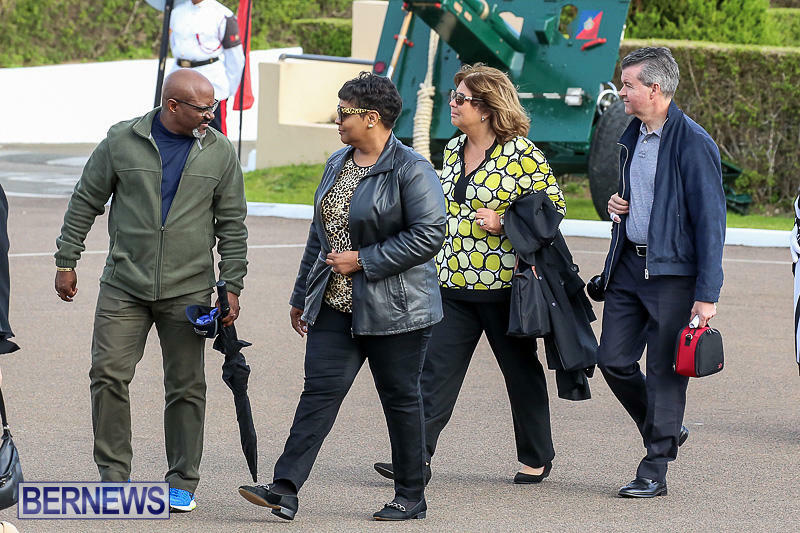 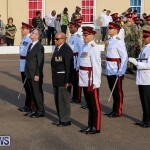 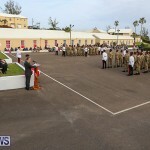 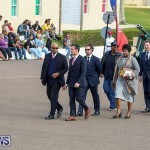 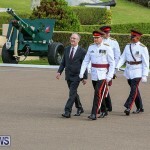 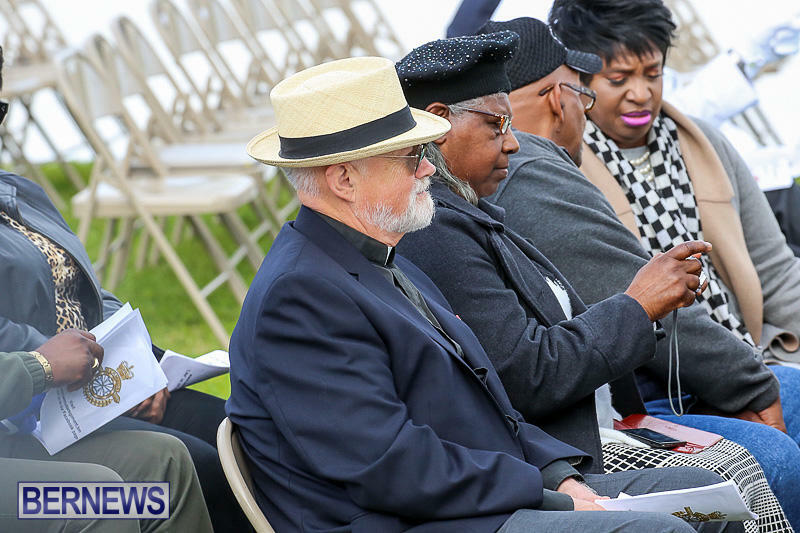 Governor John Rankin, Acting Premier Bob Richards, and Minister of National Security, Sen. Jeffrey Baron, all attended the event together with many more invited guests and former Regiment members. 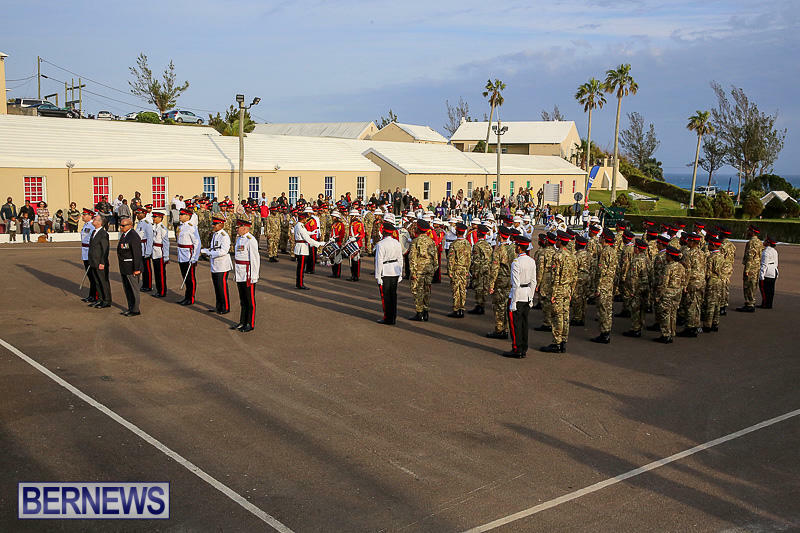 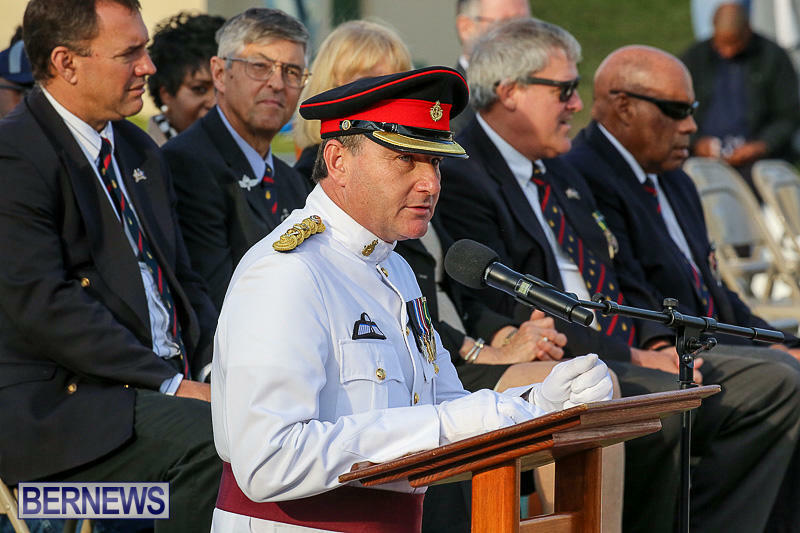 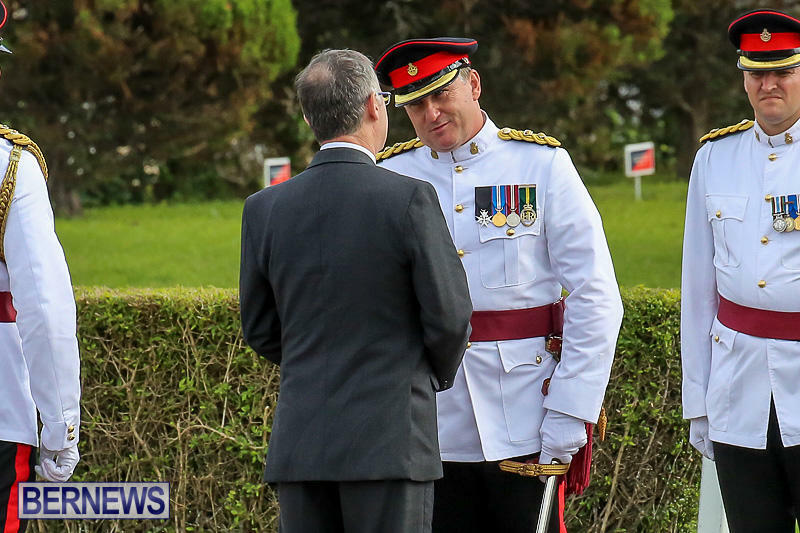 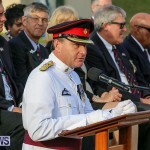 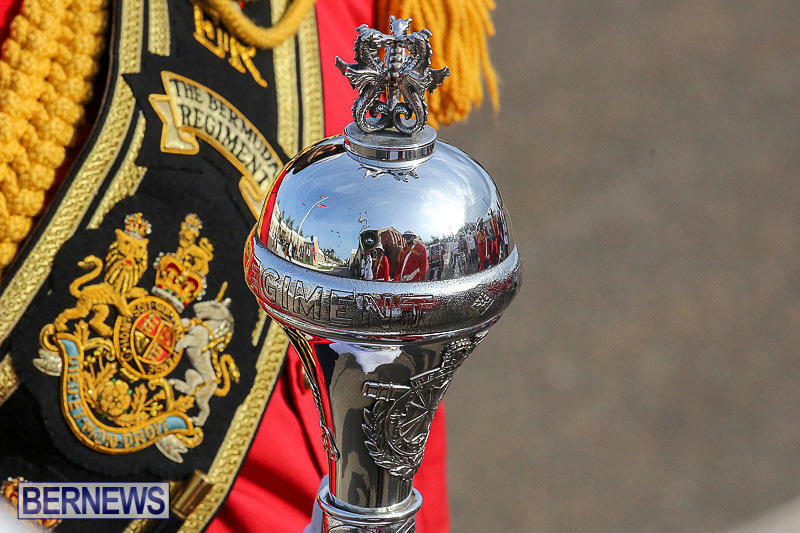 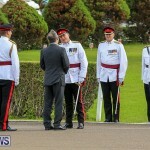 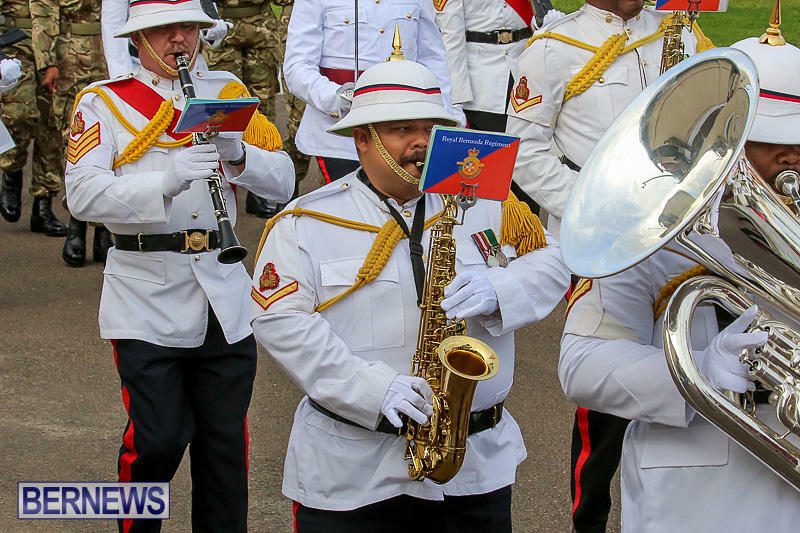 After the Passing Out Parade and a prize giving ceremony, the recruits were addressed by the Governor, Acting Premier and RBR Commanding Officer Lieutenant Colonel David Curley. 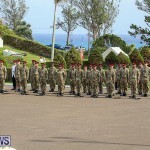 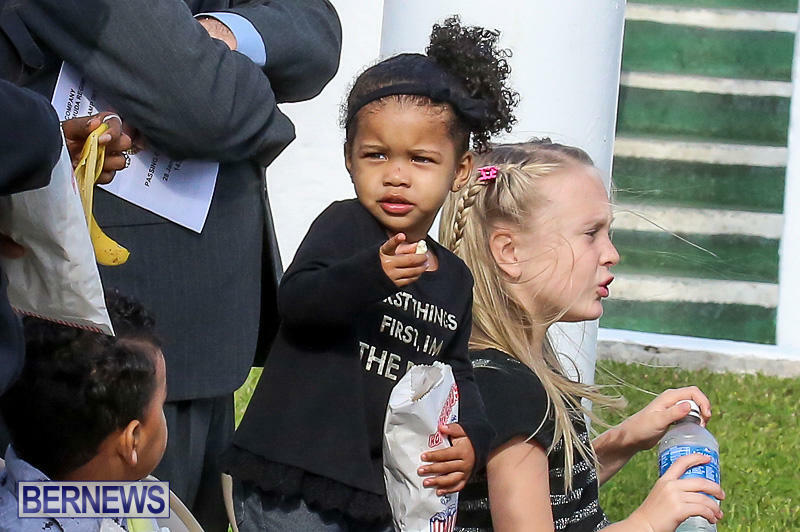 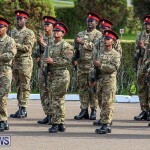 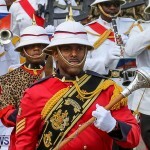 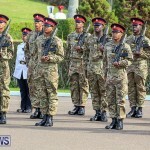 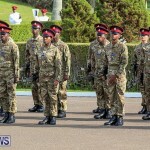 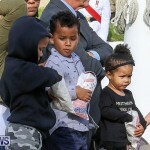 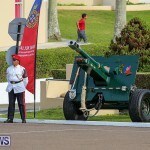 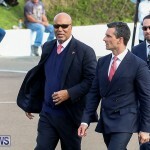 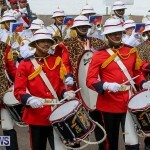 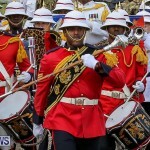 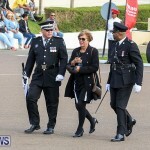 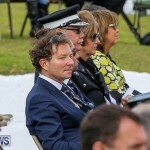 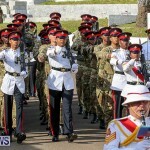 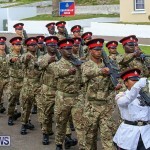 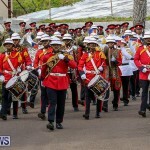 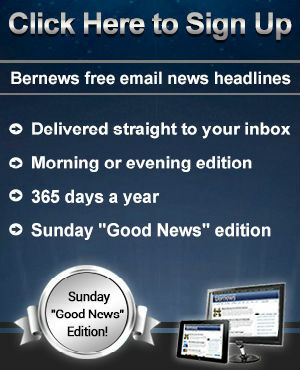 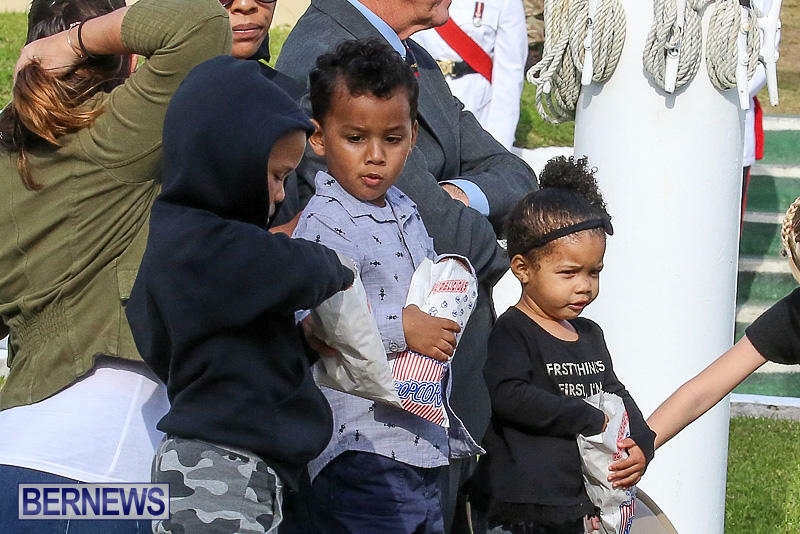 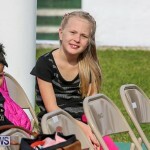 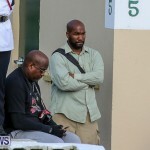 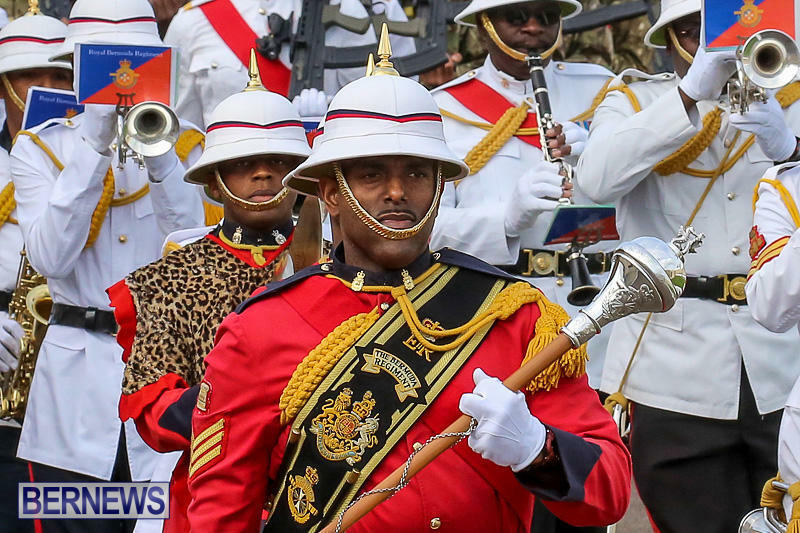 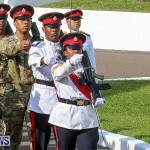 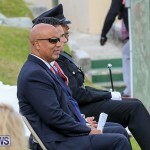 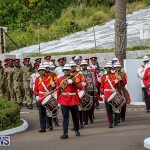 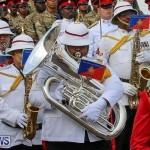 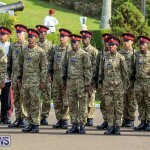 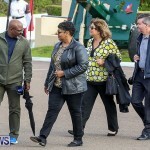 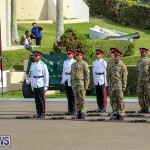 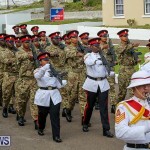 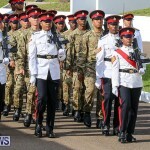 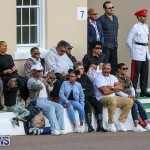 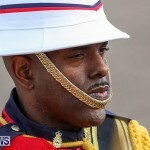 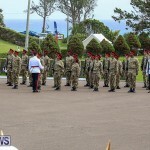 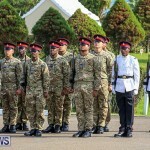 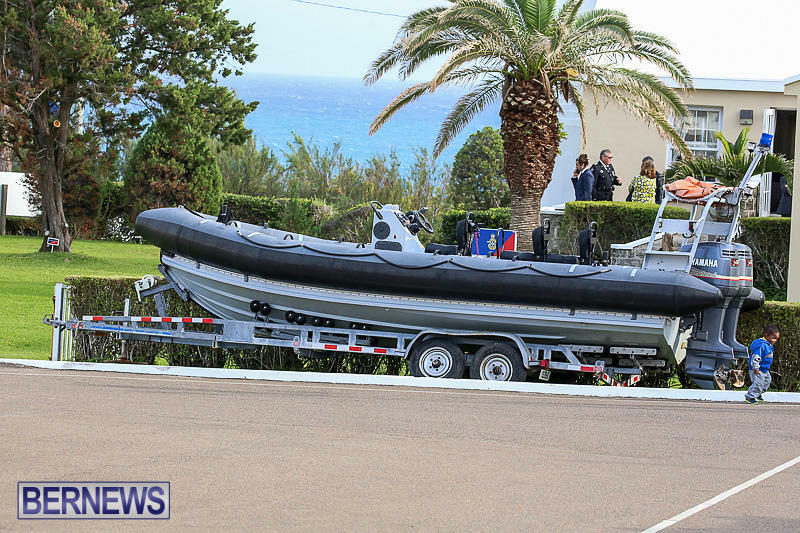 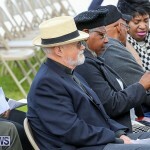 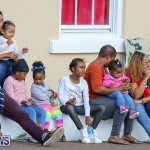 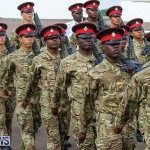 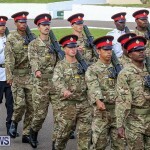 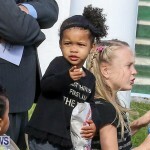 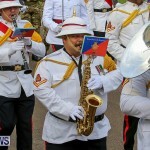 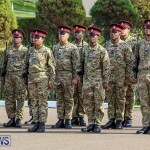 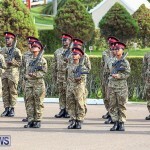 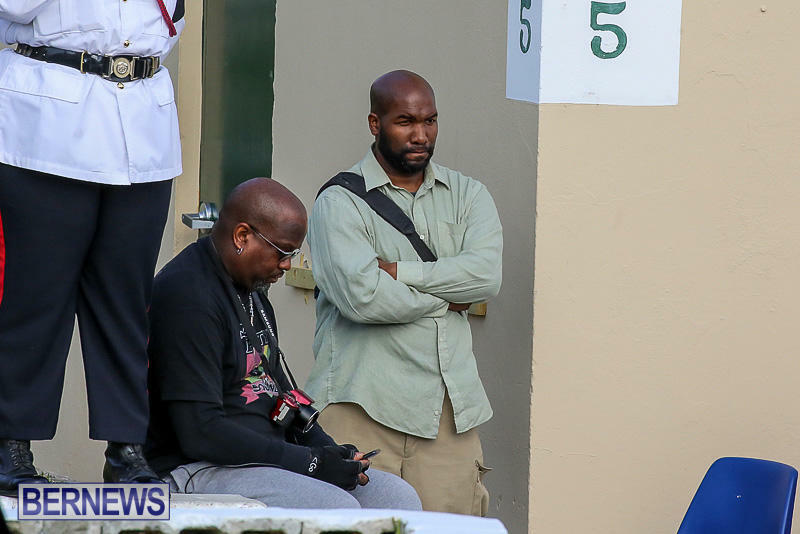 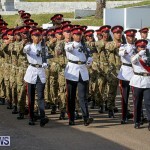 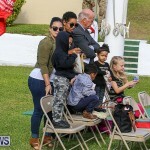 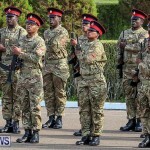 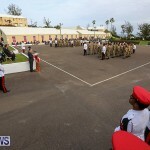 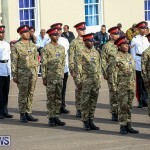 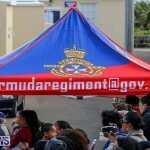 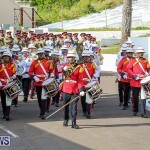 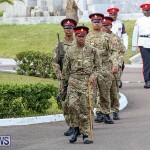 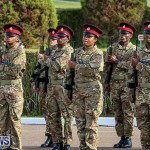 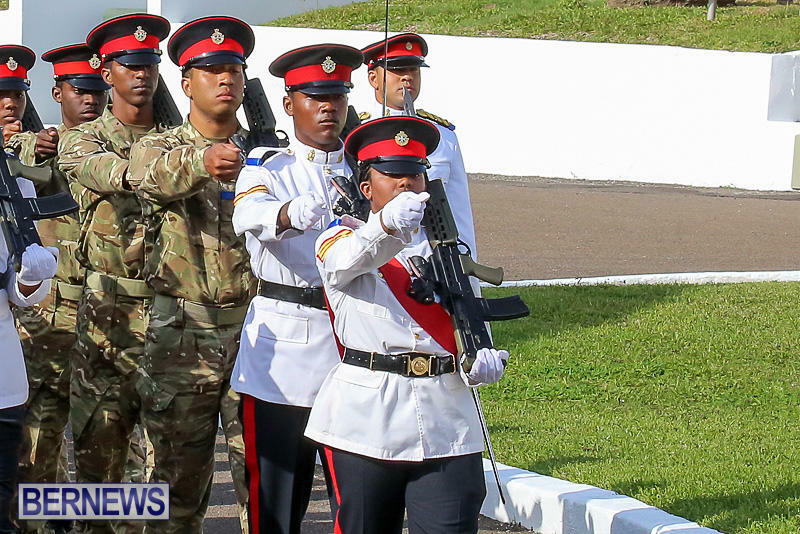 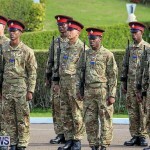 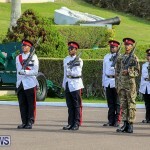 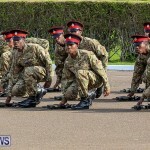 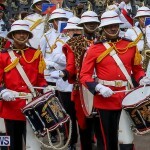 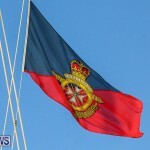 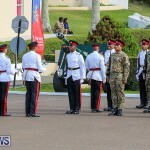 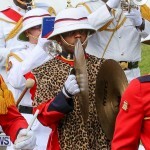 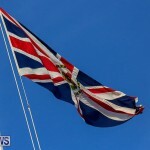 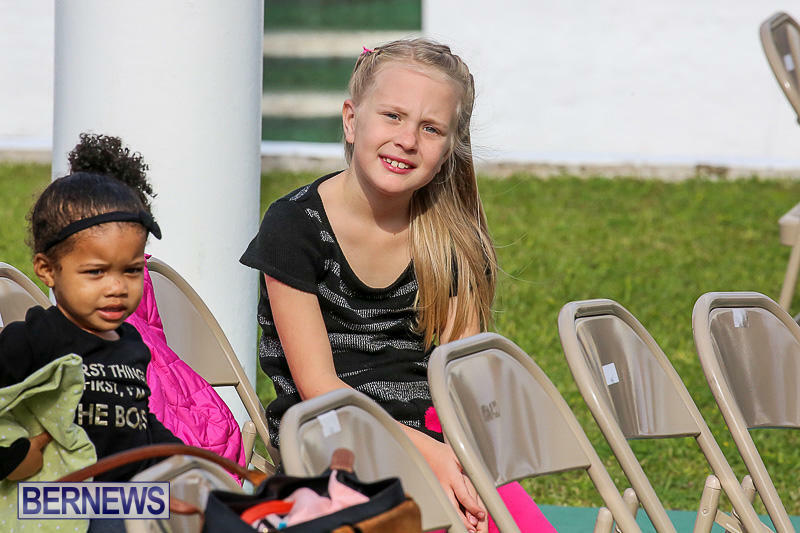 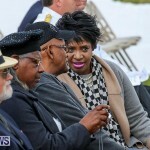 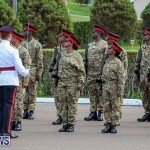 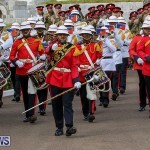 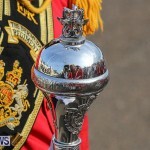 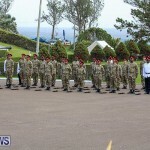 Yes they are very good for backing up the Police Force during times of hurricanes,,,,,emergencies,,,and Parades,,,,pomp and glitter.etc.Very good show of camaride.Also good for unblocking gates at Parliament House,,,,,and Cabinet Building etc.show of force……..welcome to the new Bermuda. 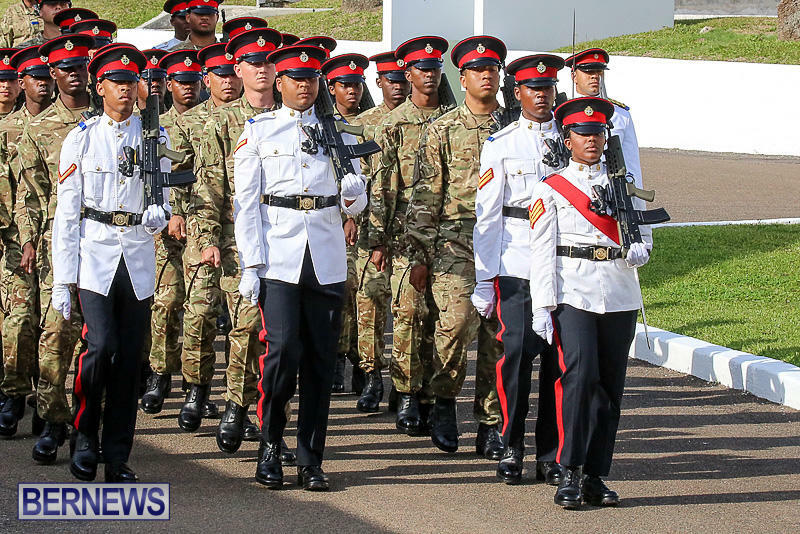 police train six weeks and boot camp is only two?